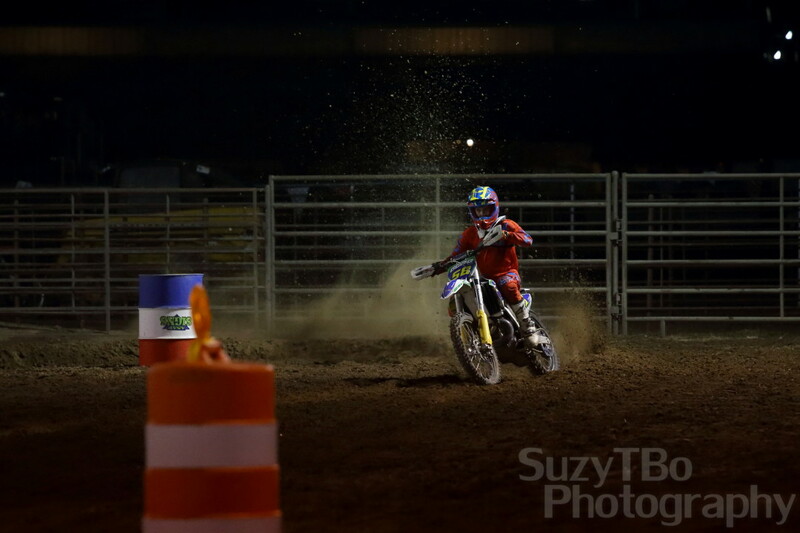 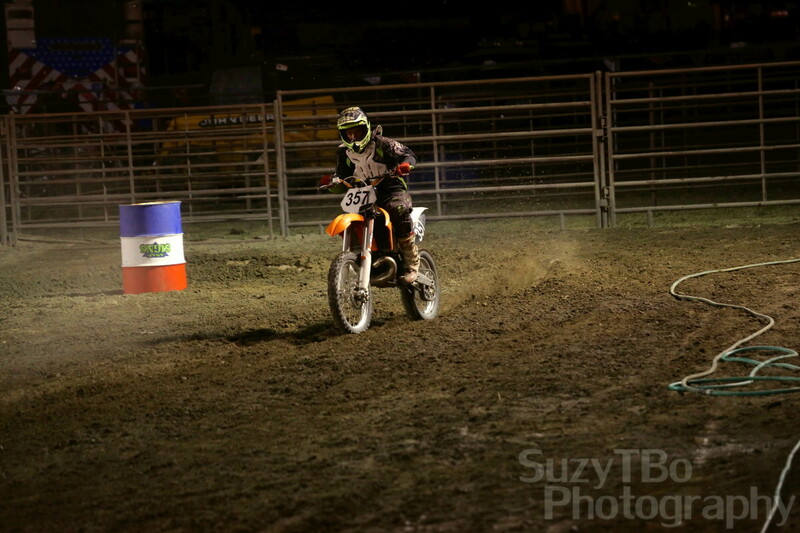 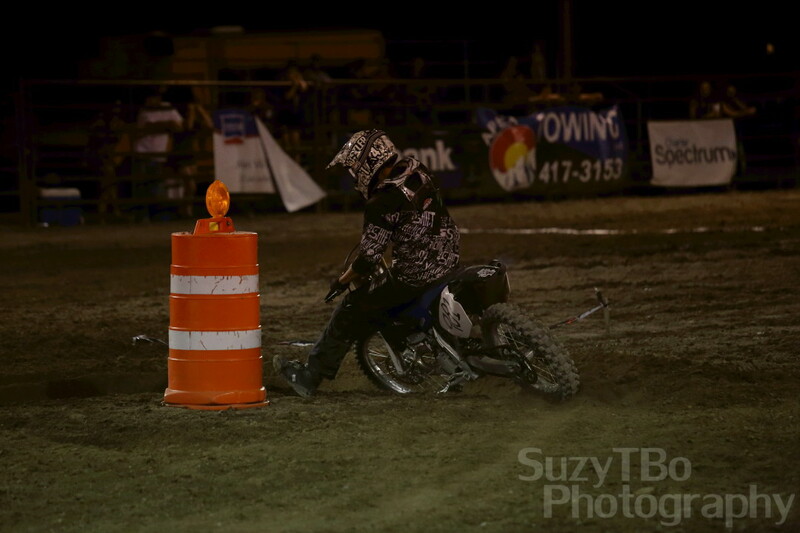 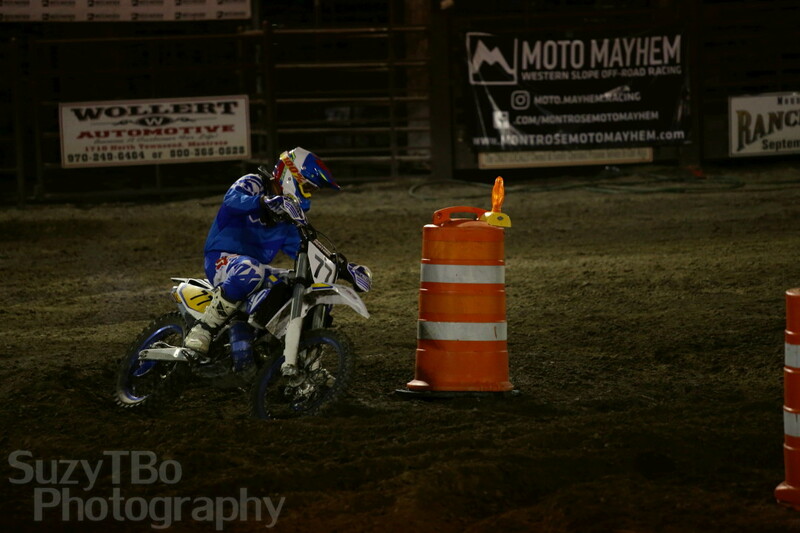 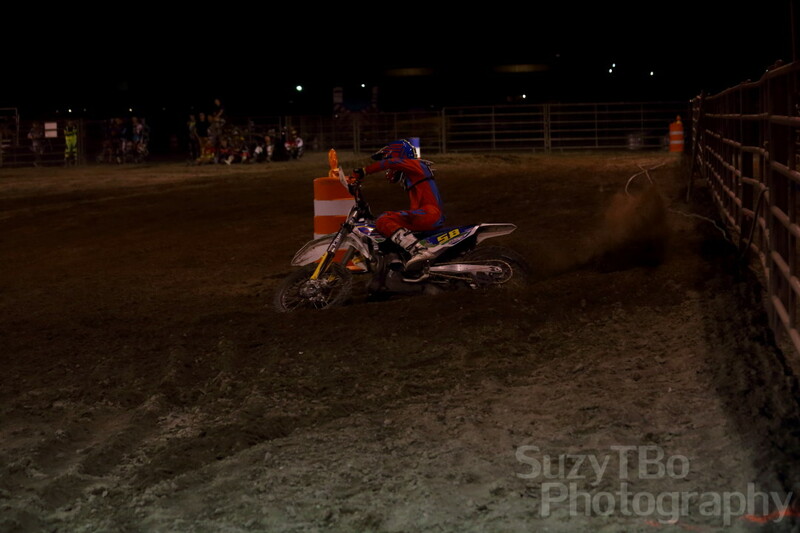 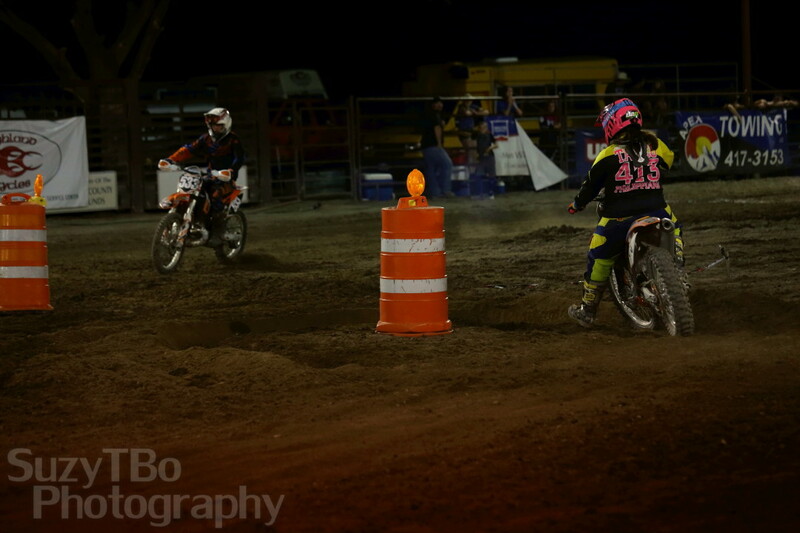 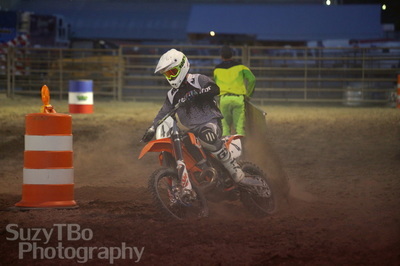 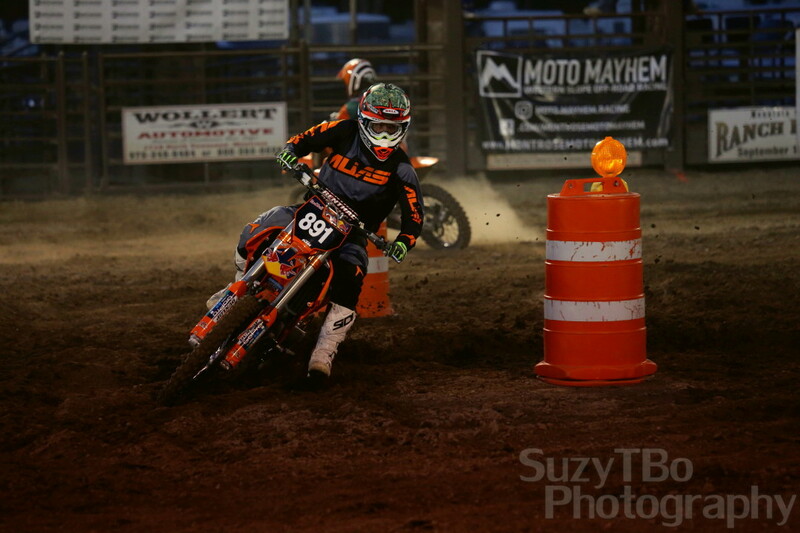 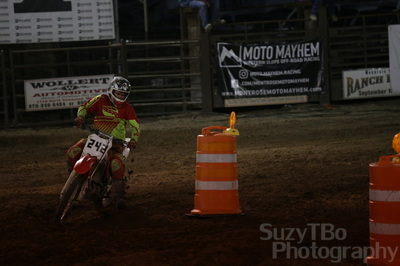 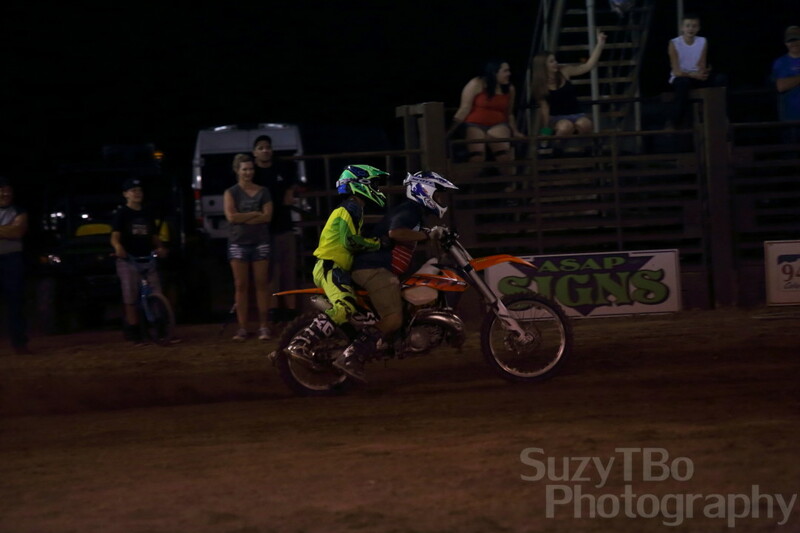 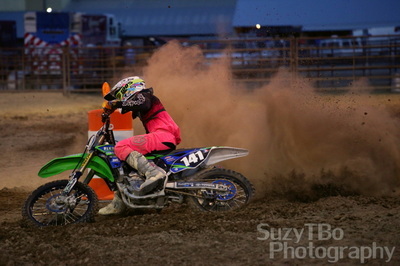 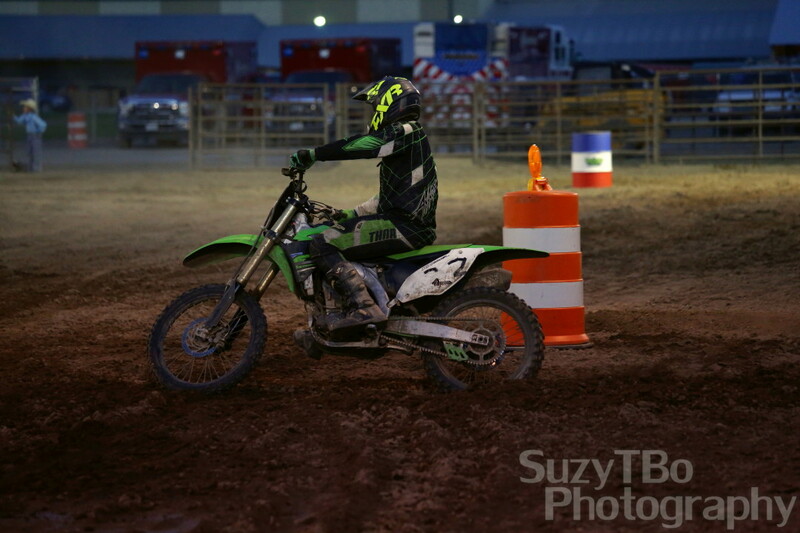 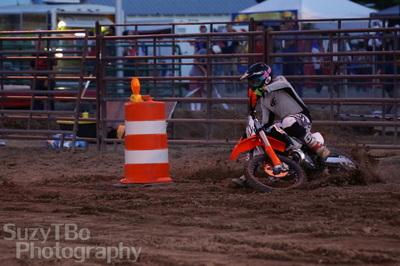 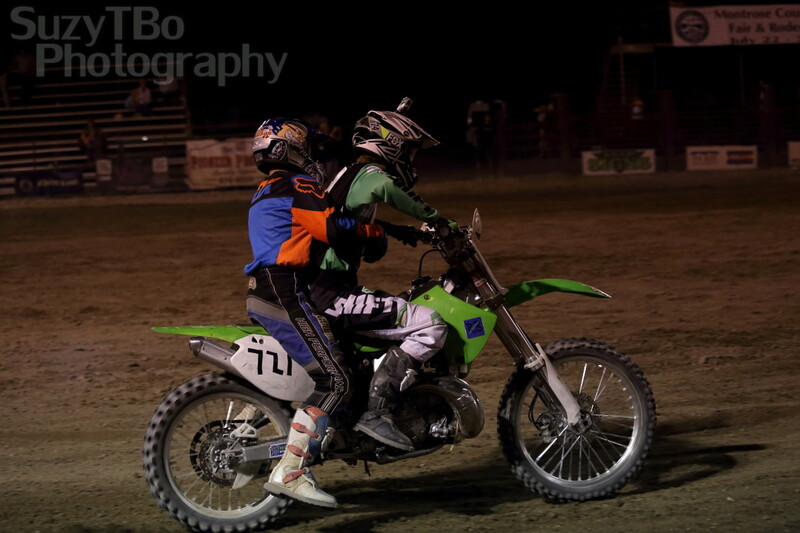 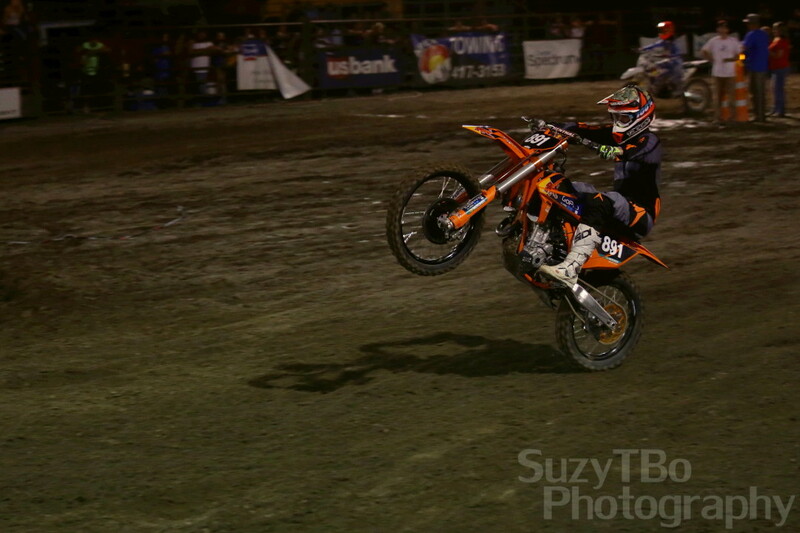 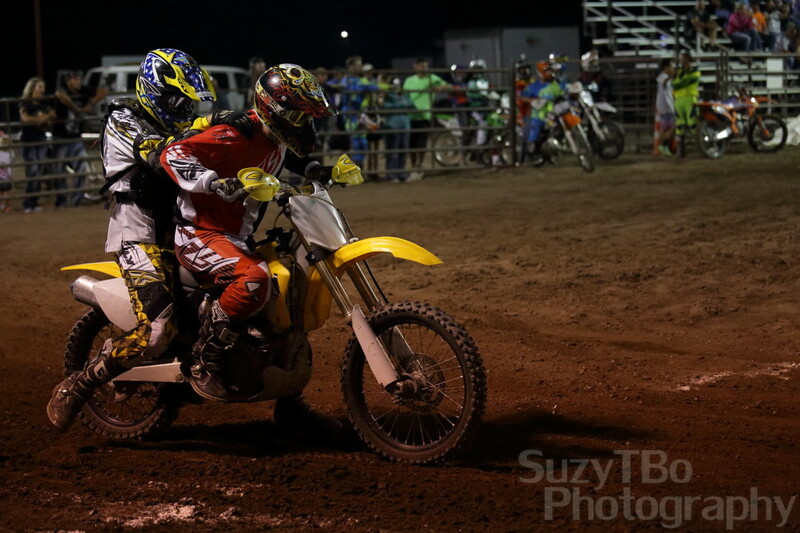 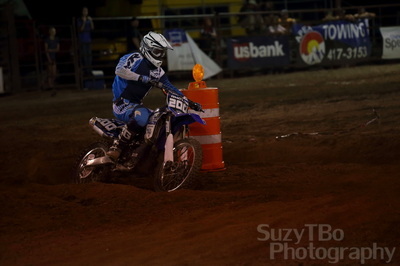 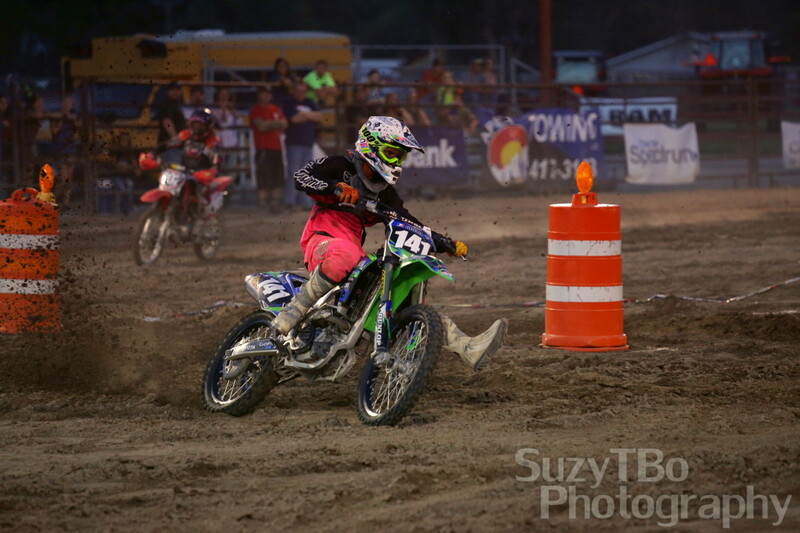 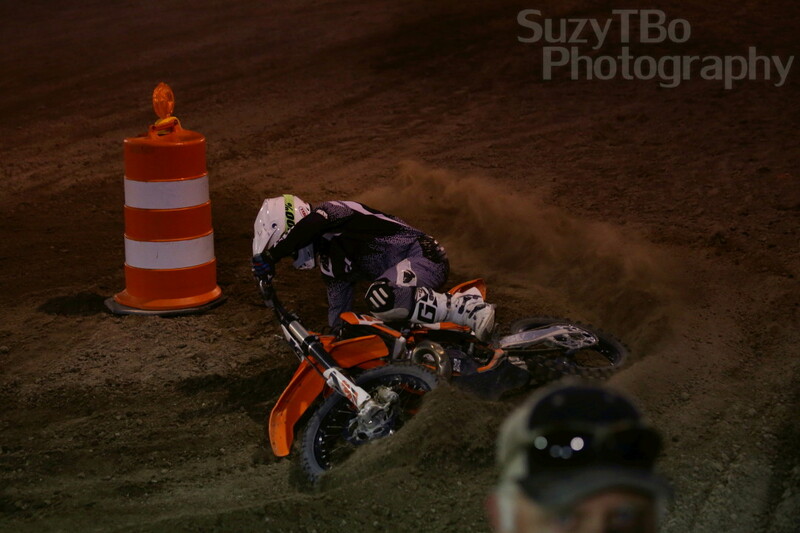 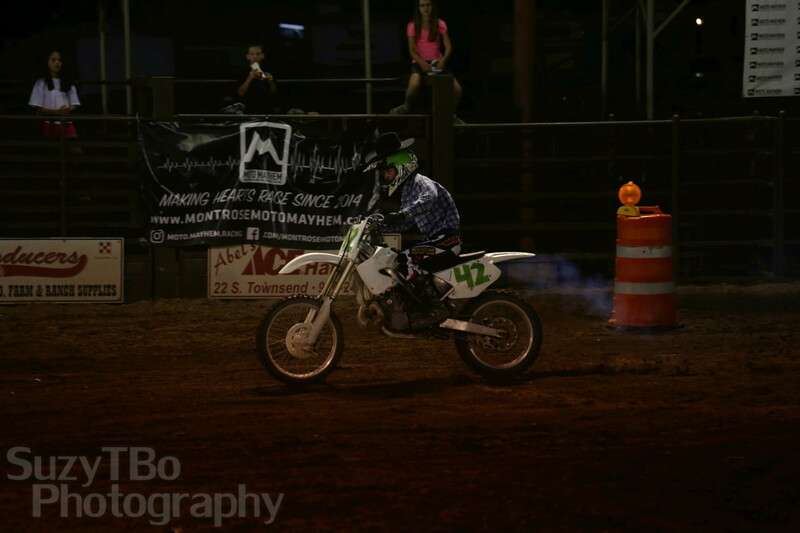 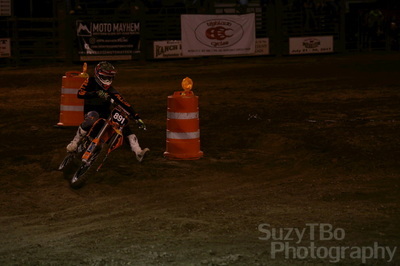 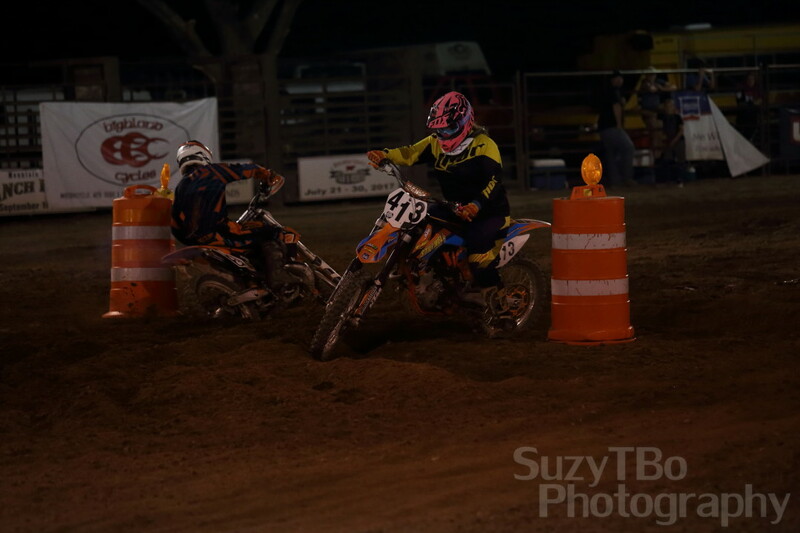 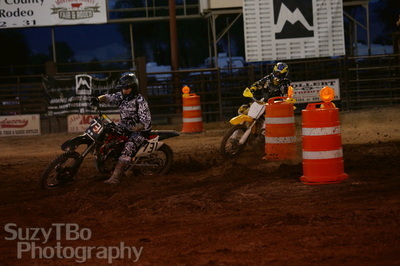 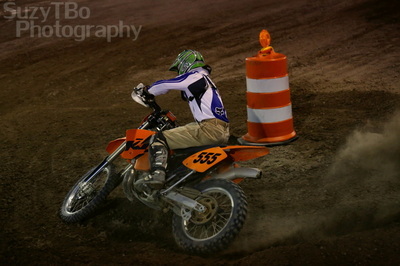 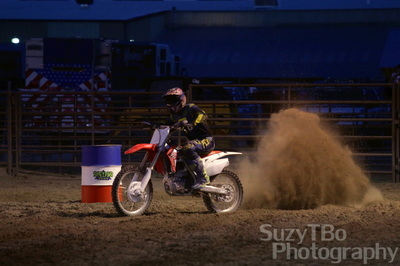 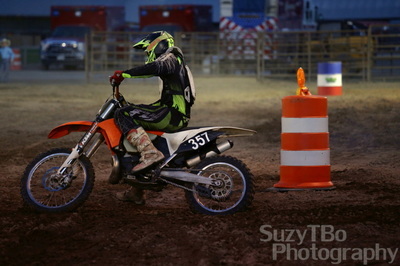 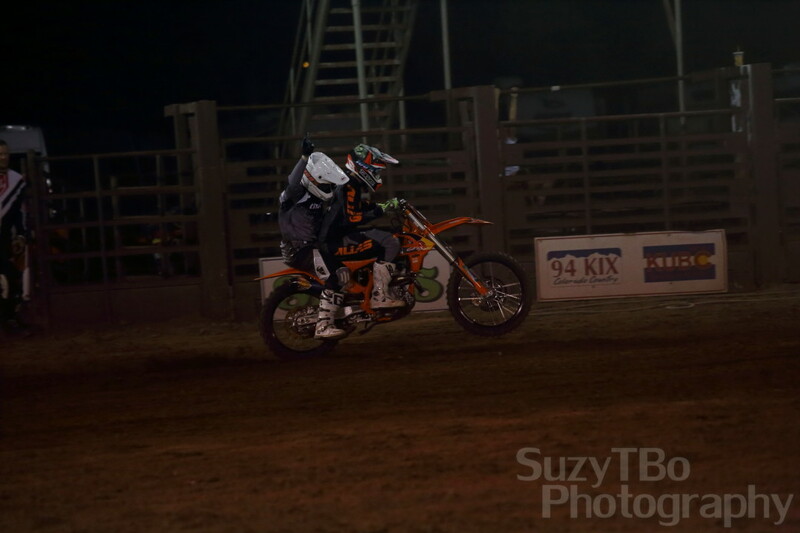 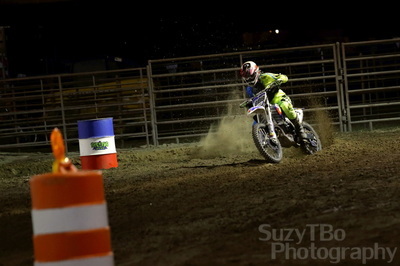 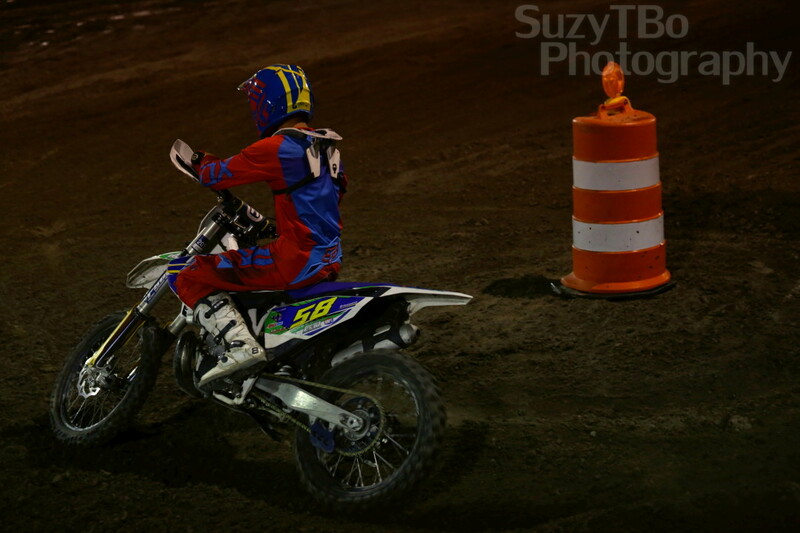 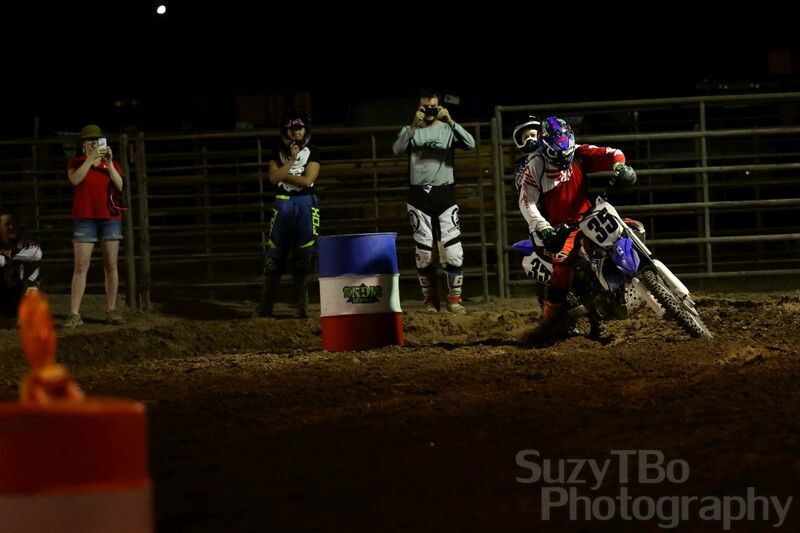 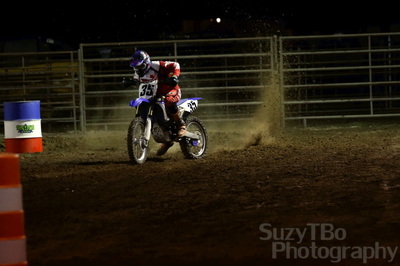 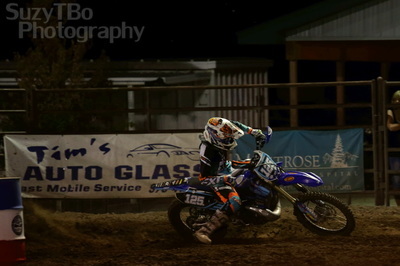 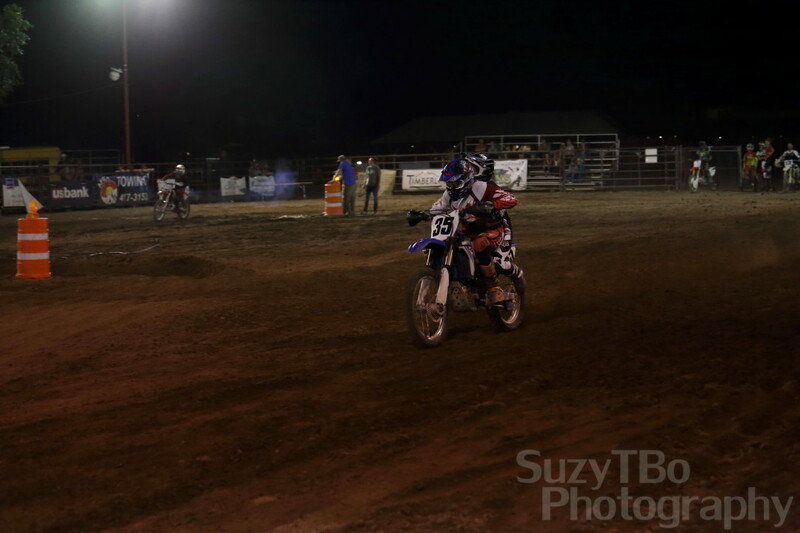 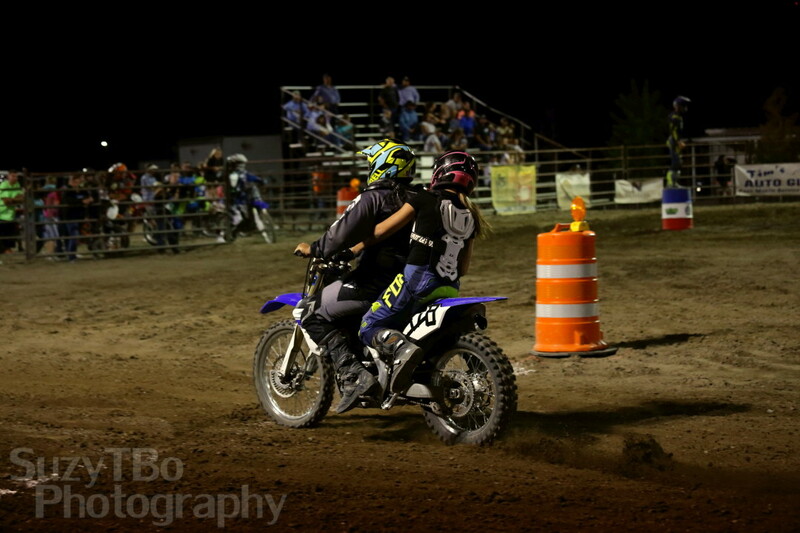 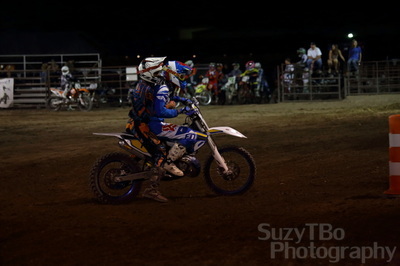 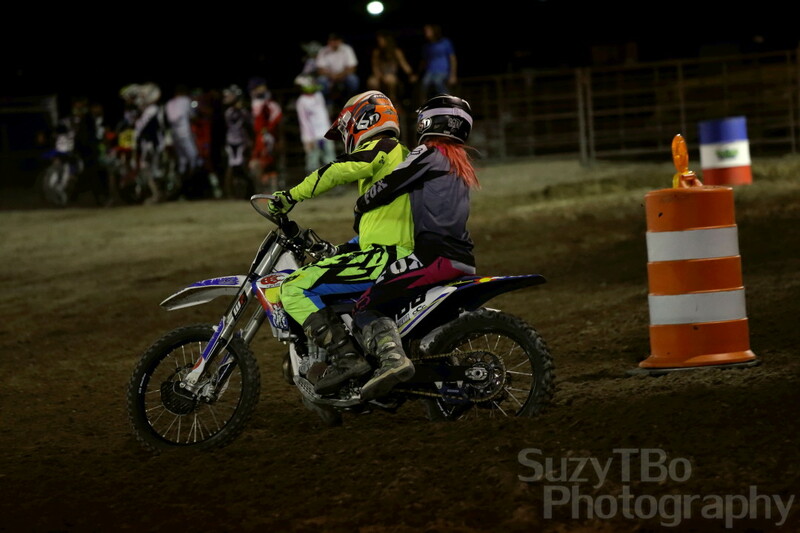 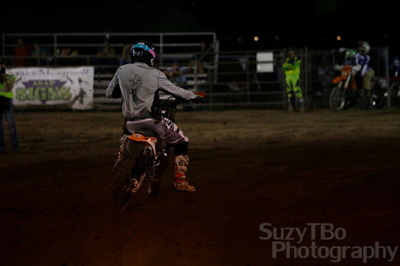 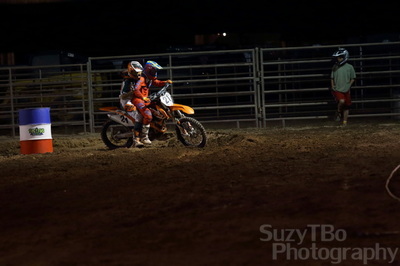 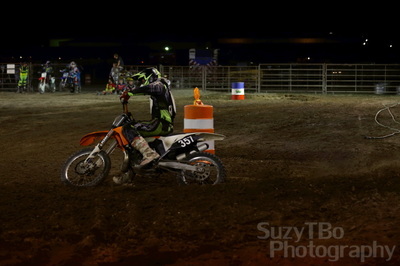 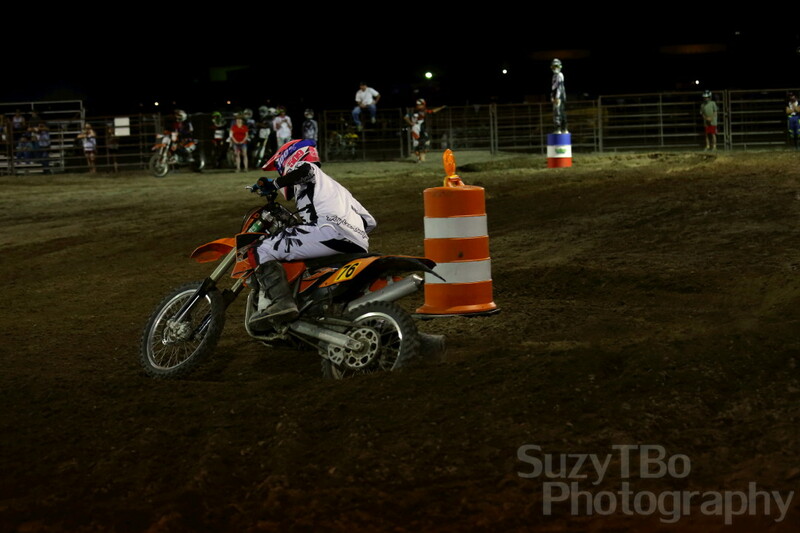 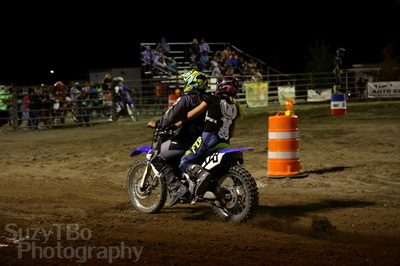 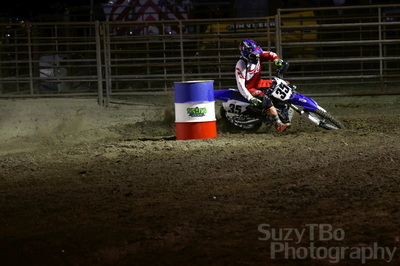 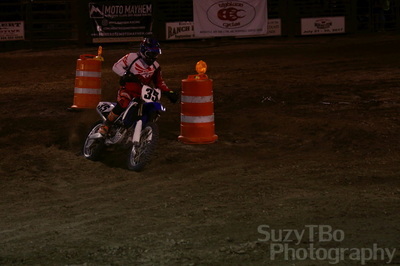 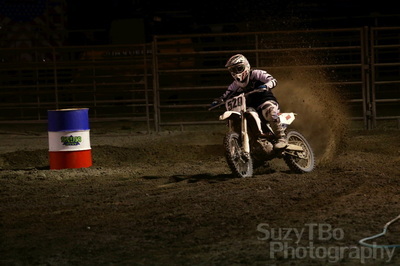 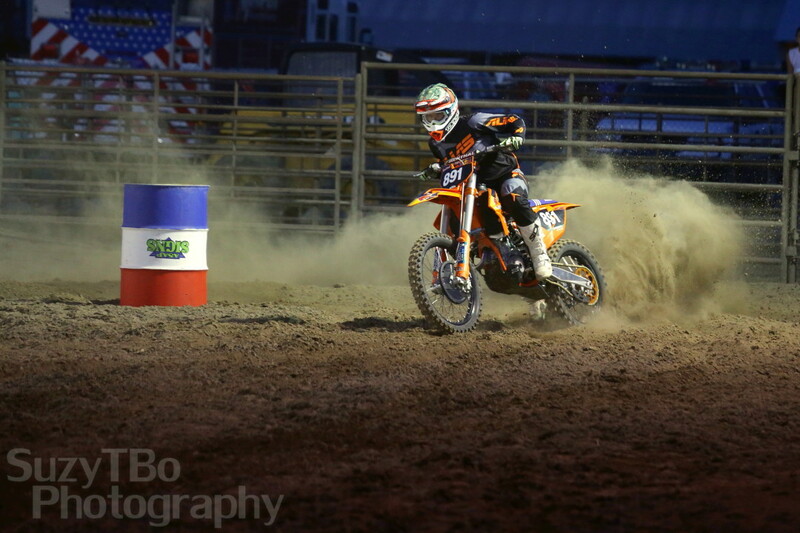 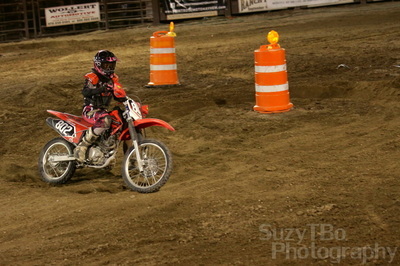 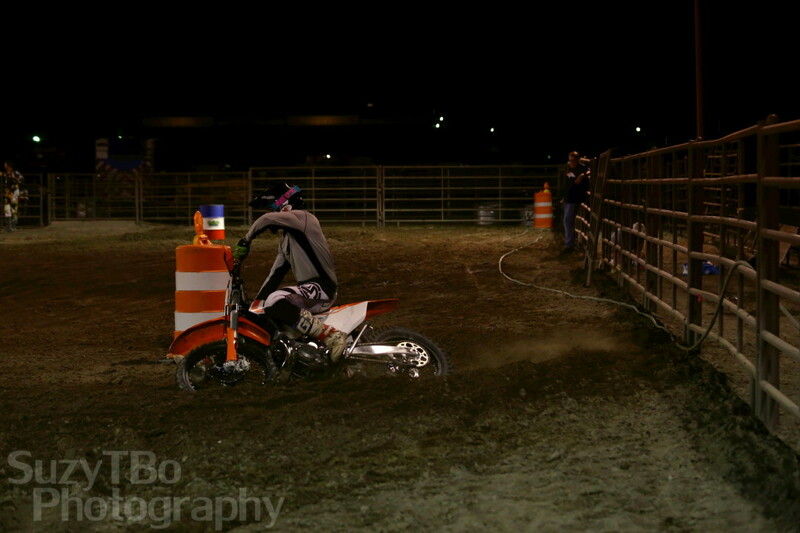 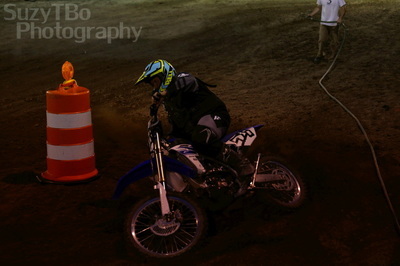 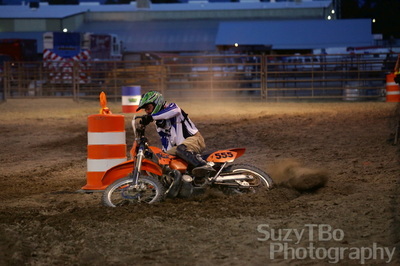 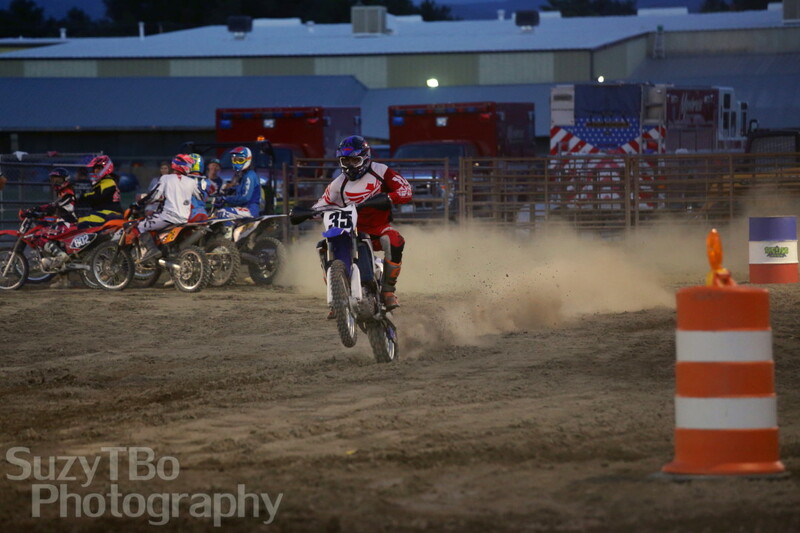 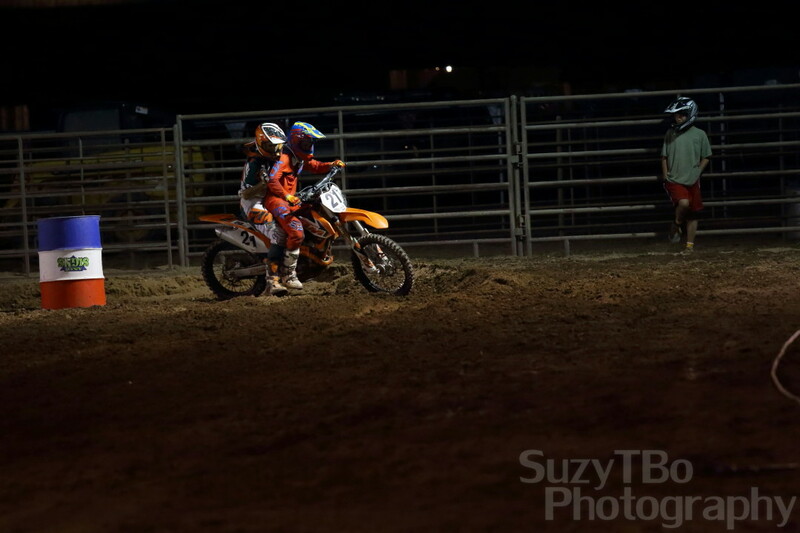 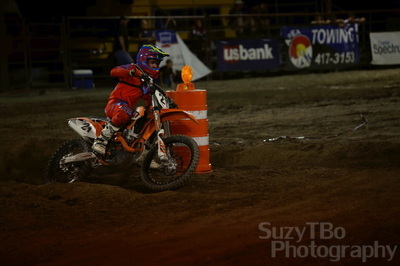 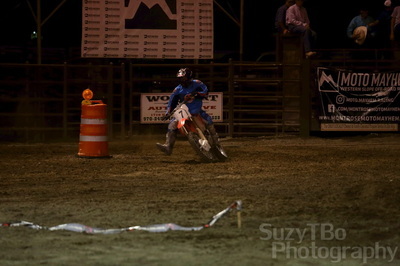 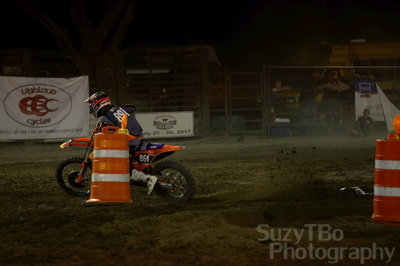 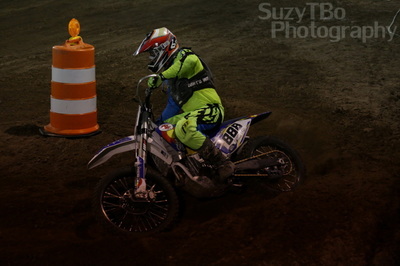 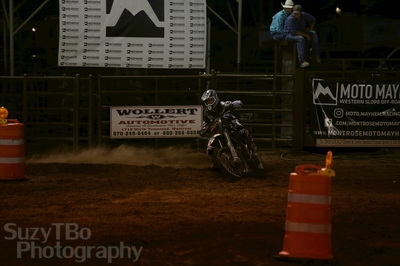 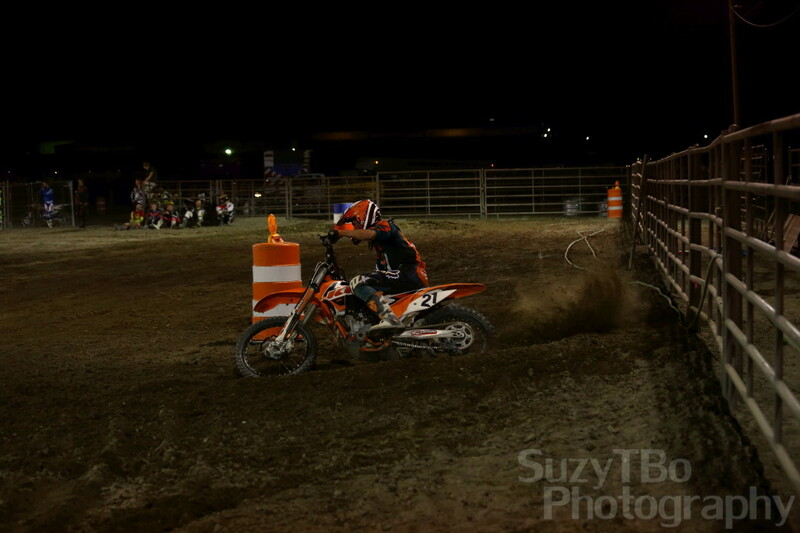 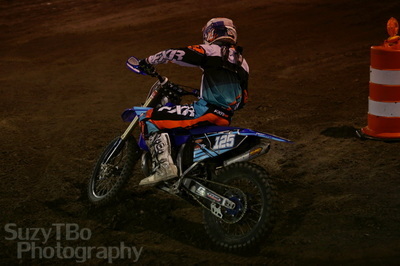 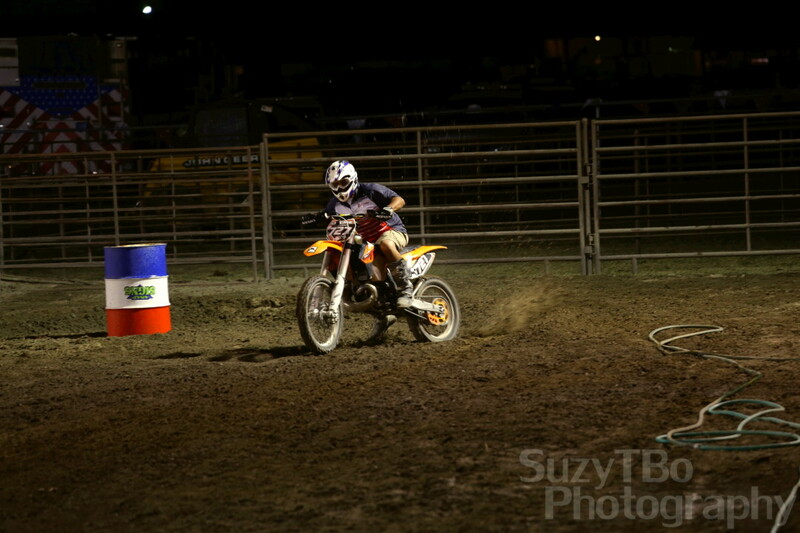 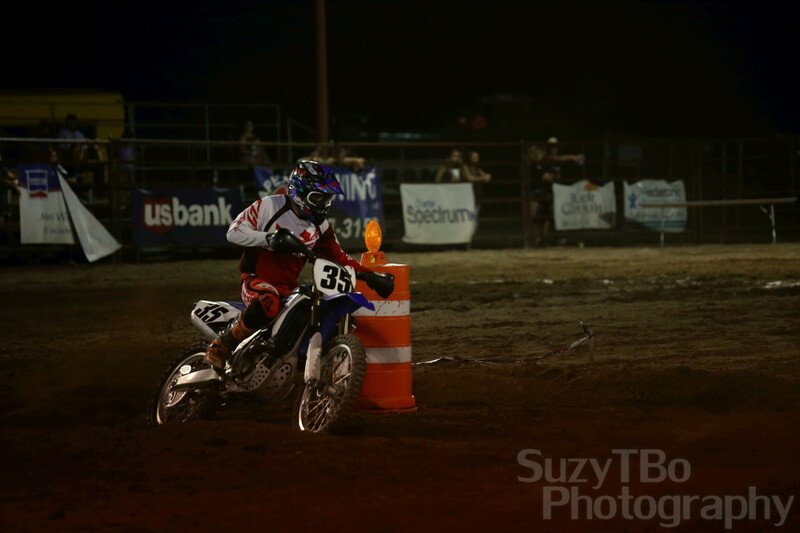 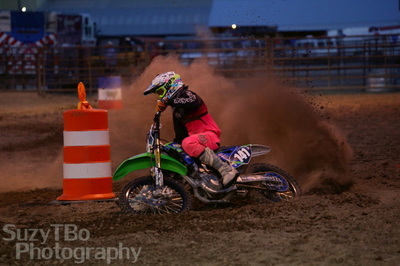 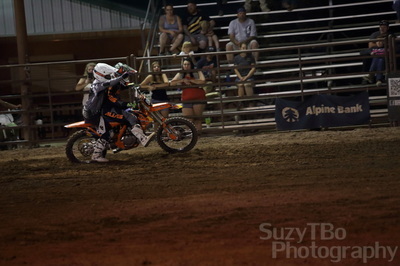 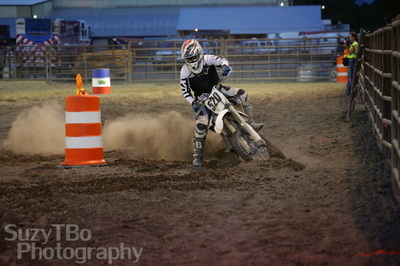 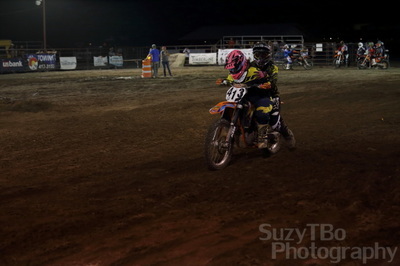 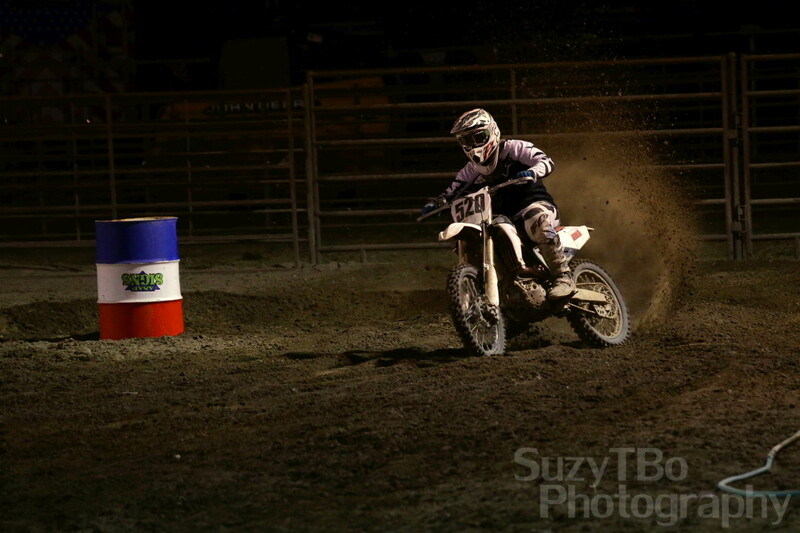 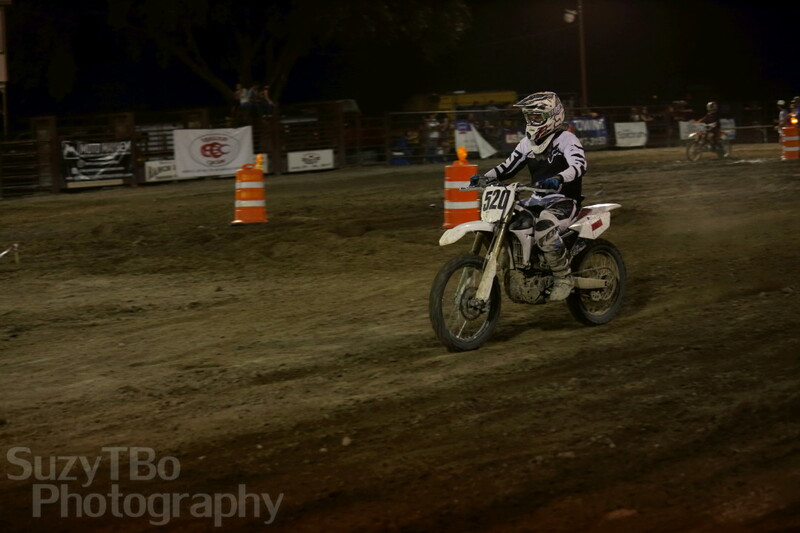 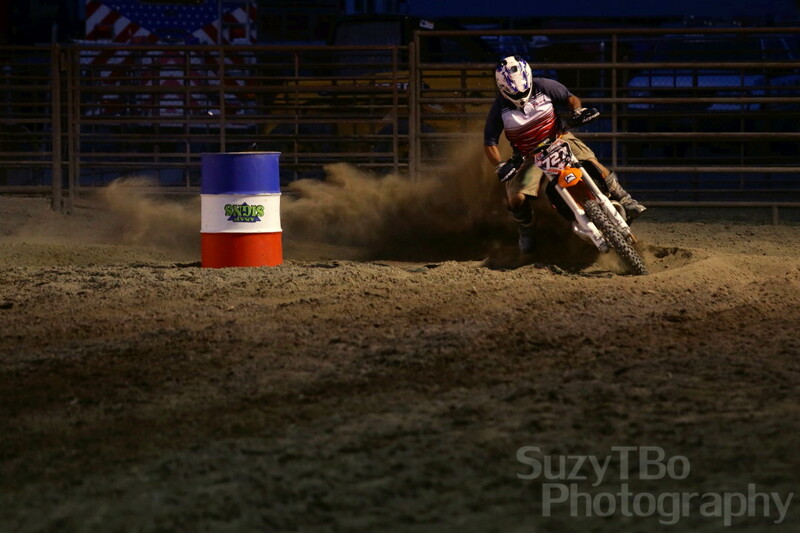 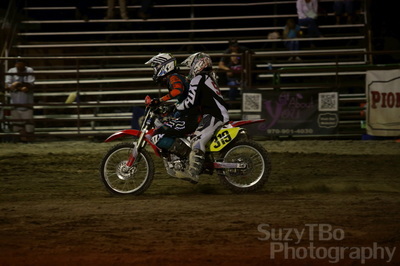 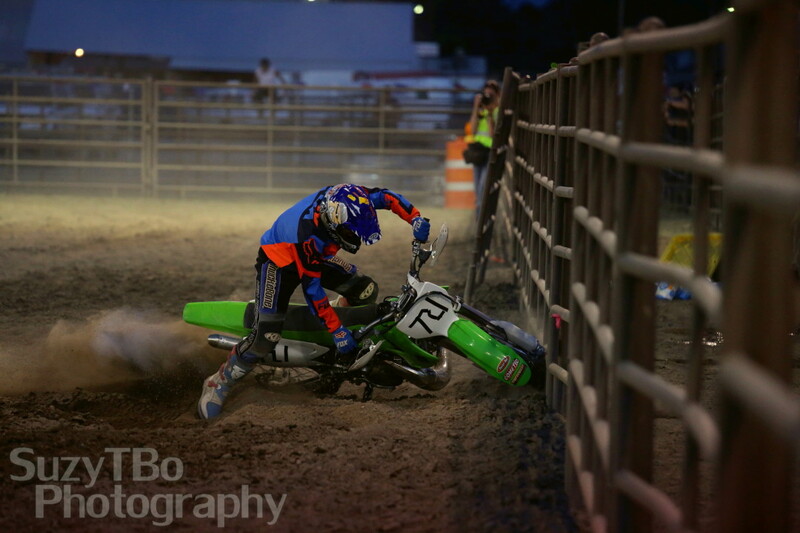 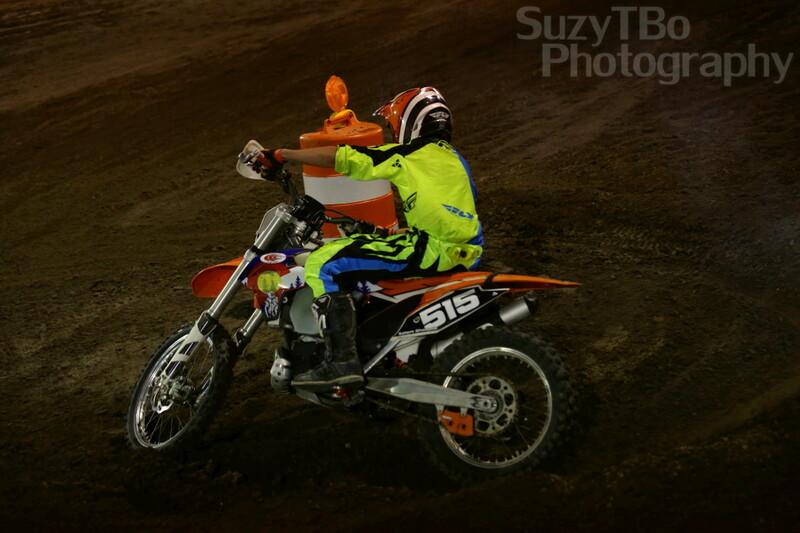 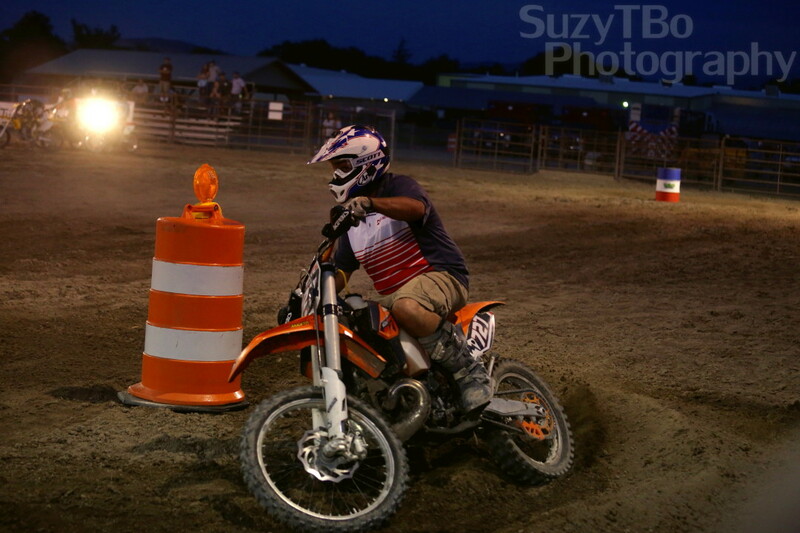 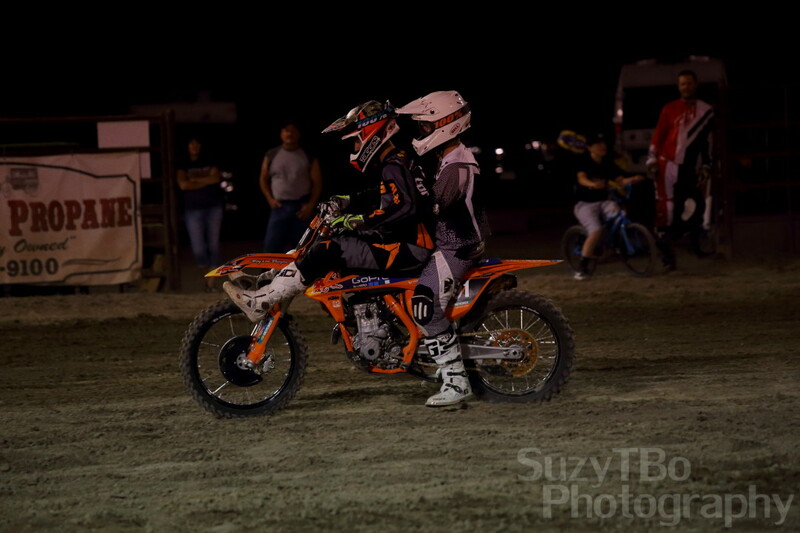 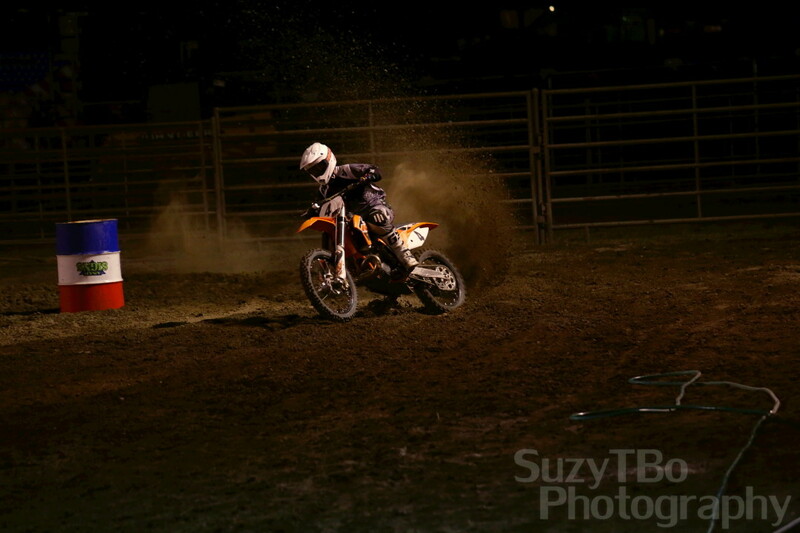 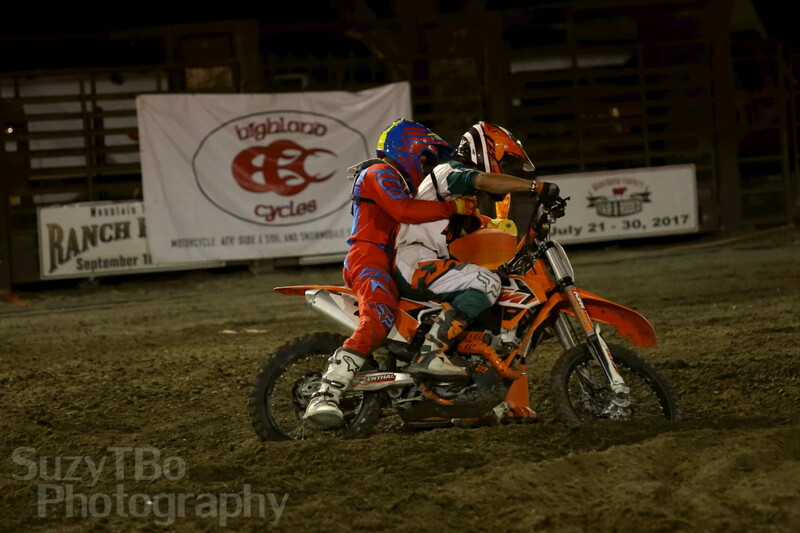 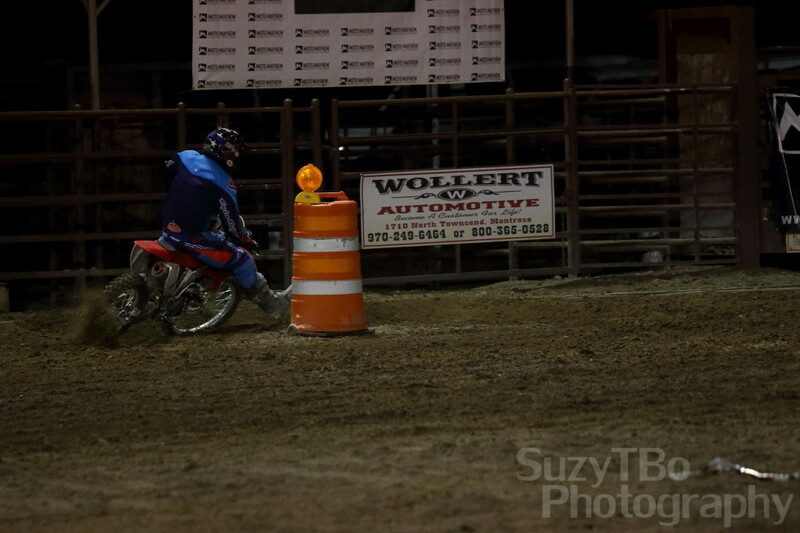 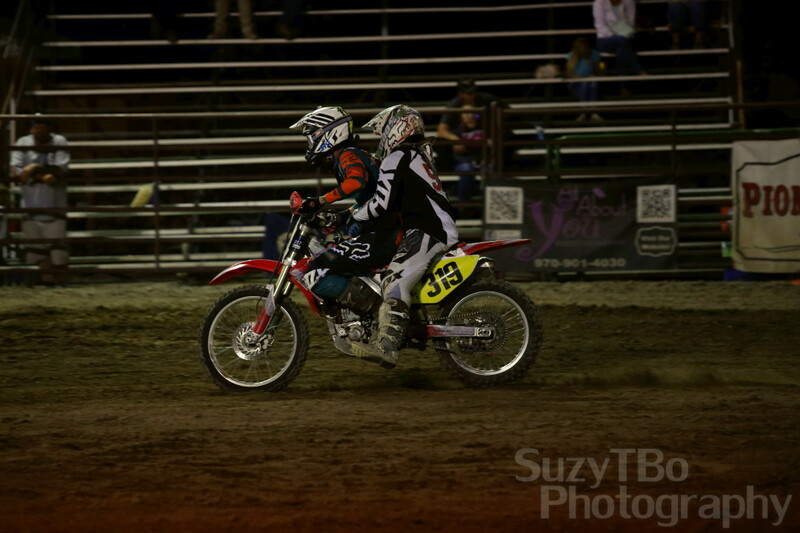 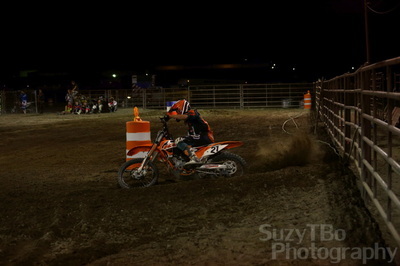 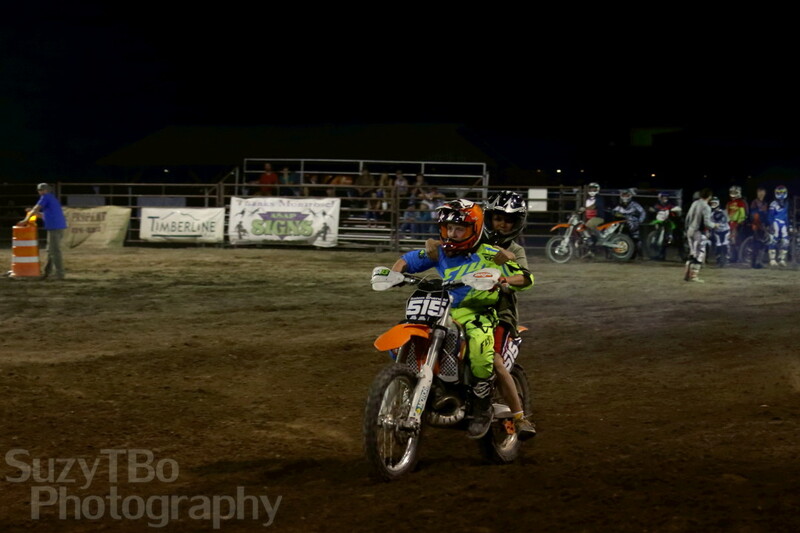 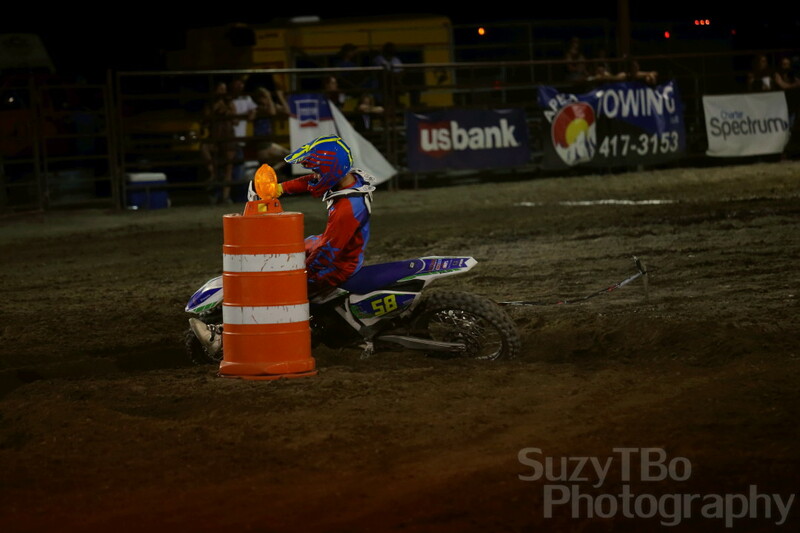 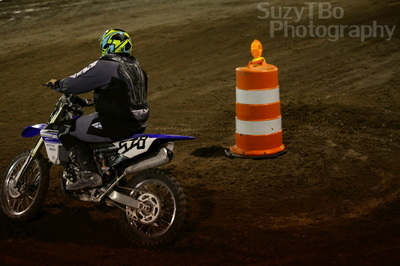 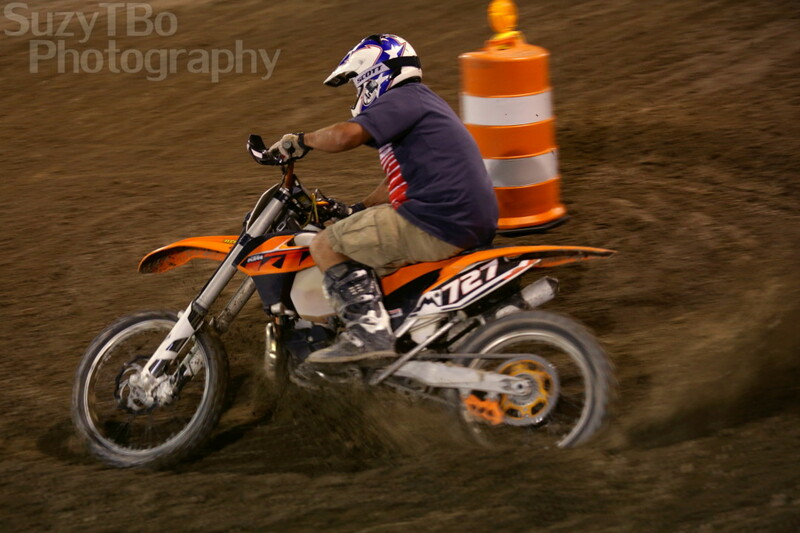 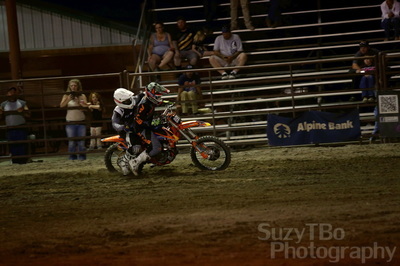 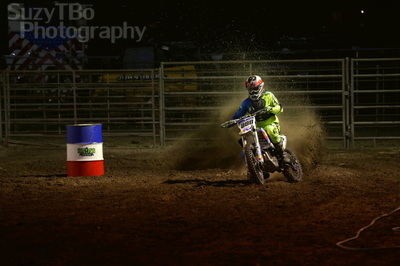 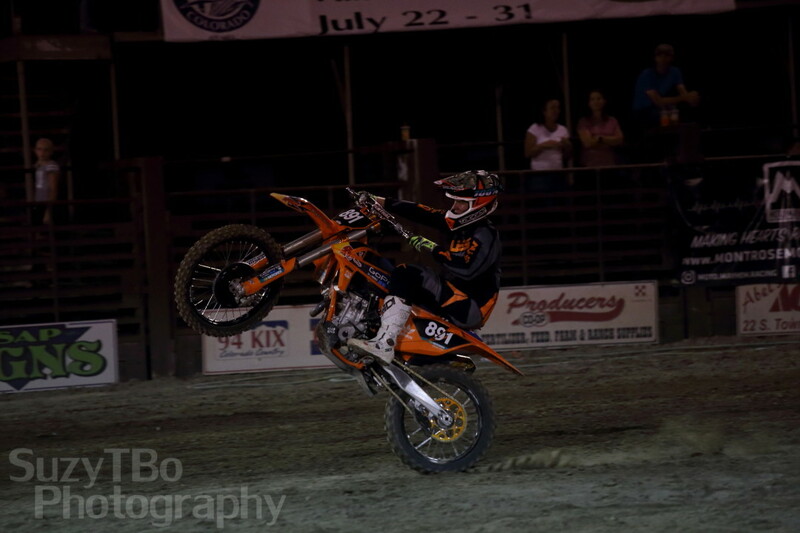 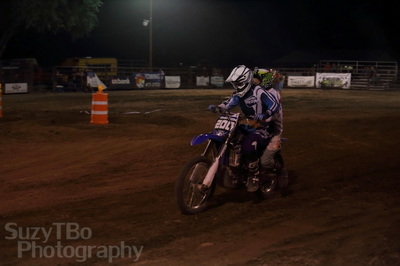 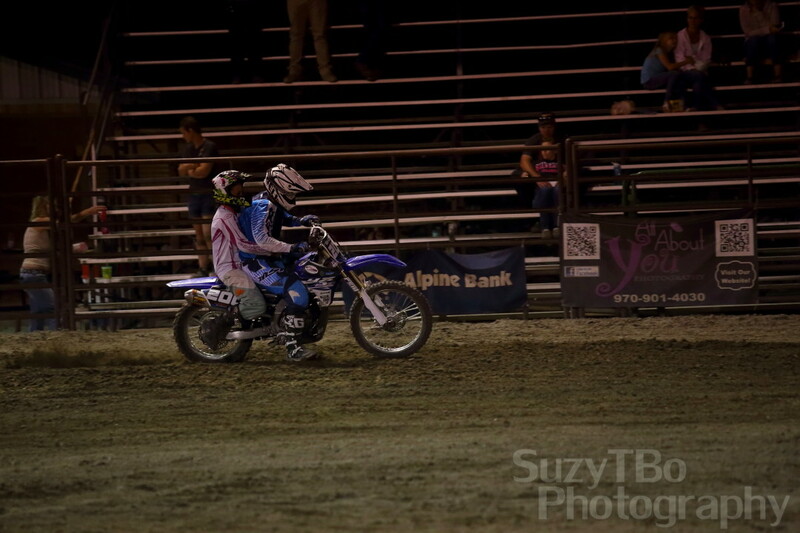 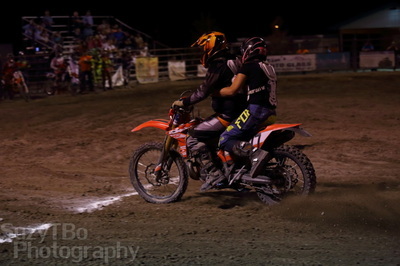 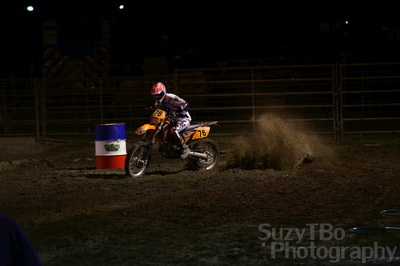 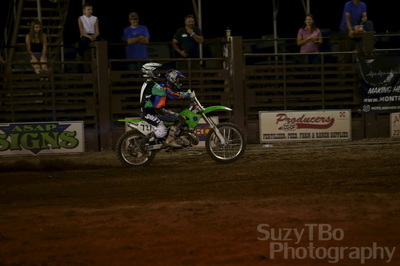 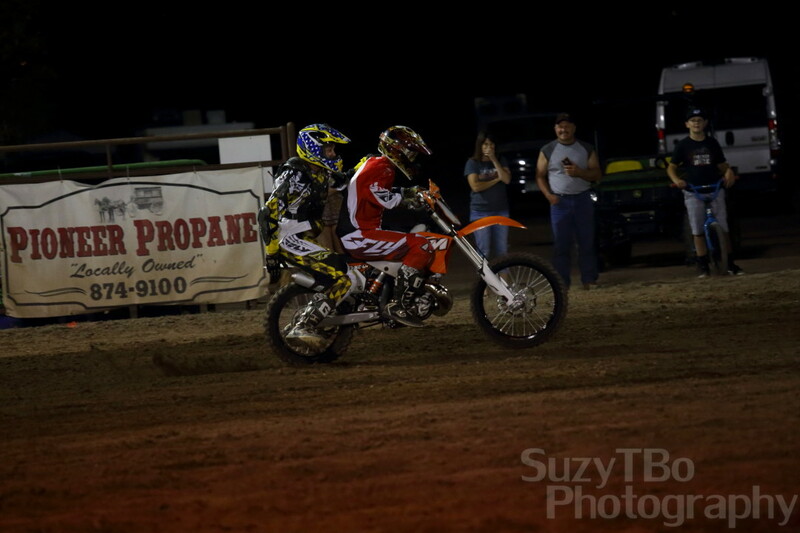 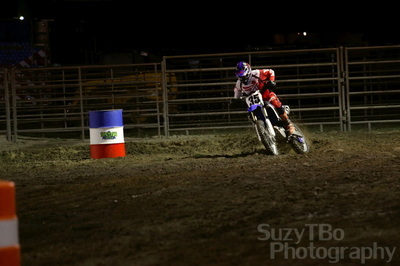 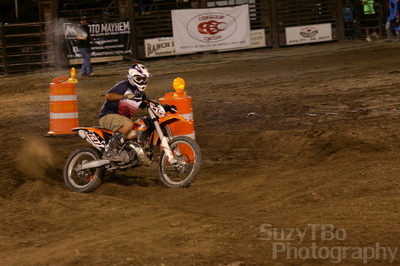 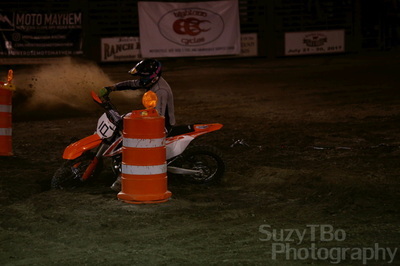 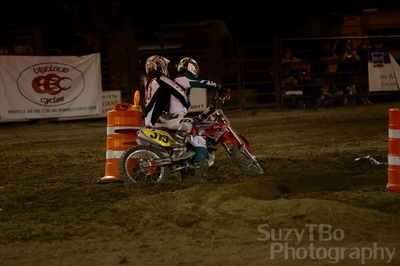 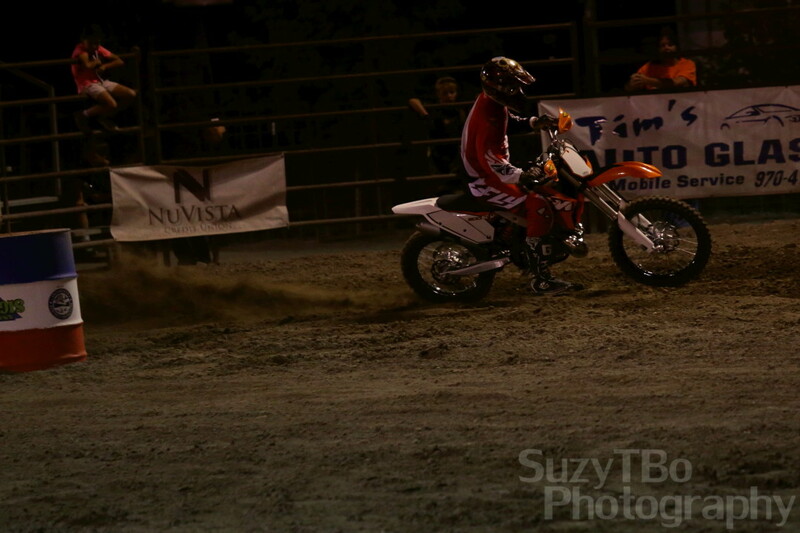 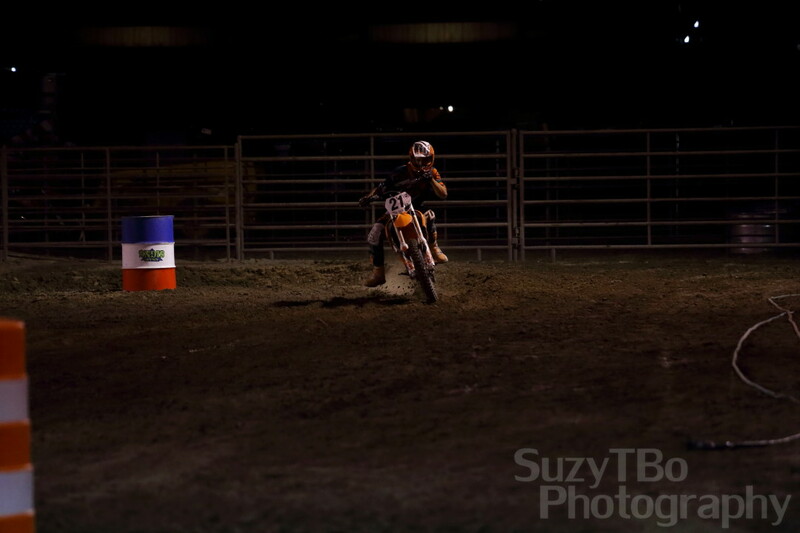 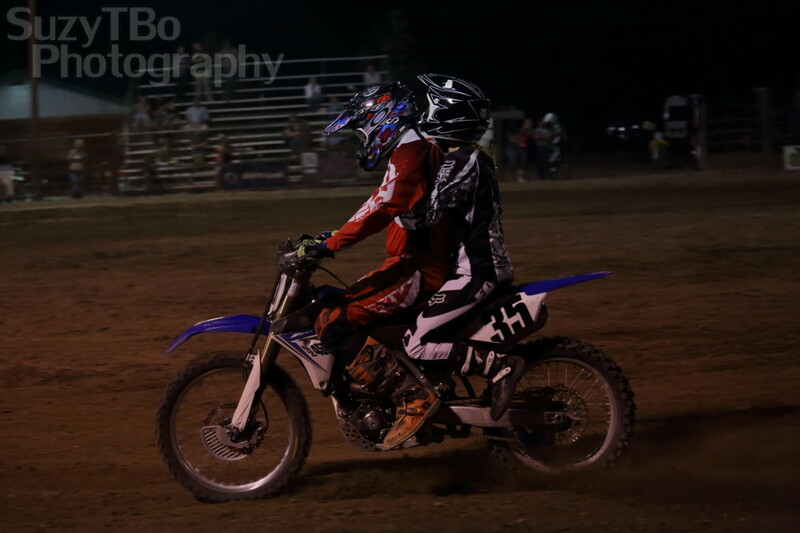 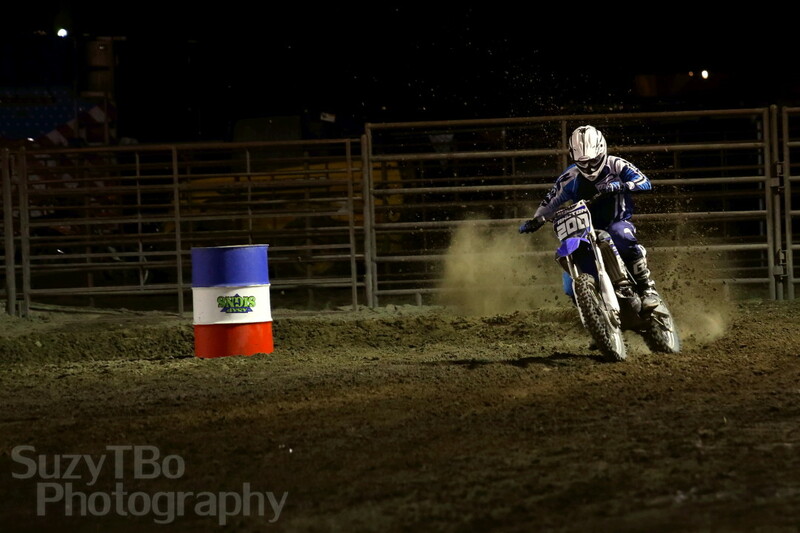 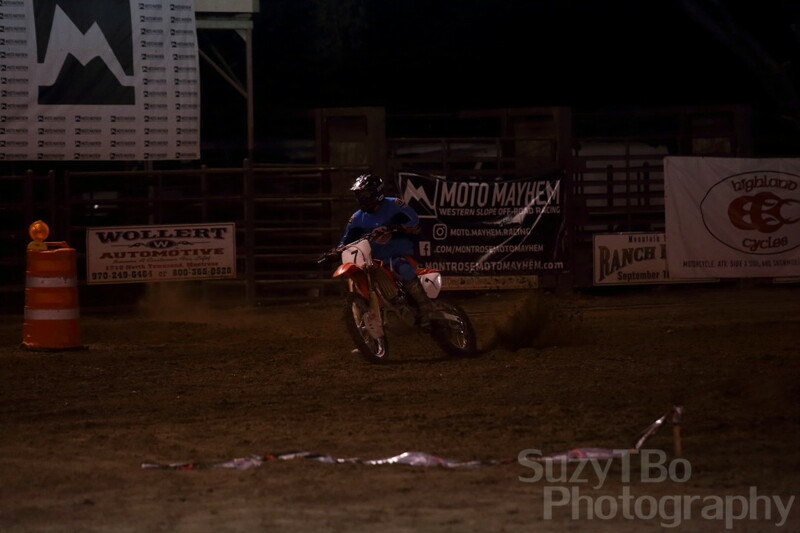 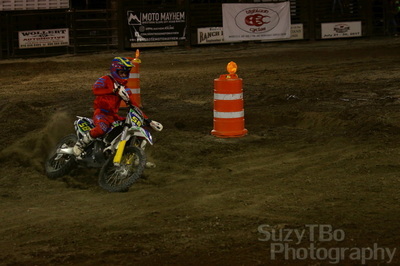 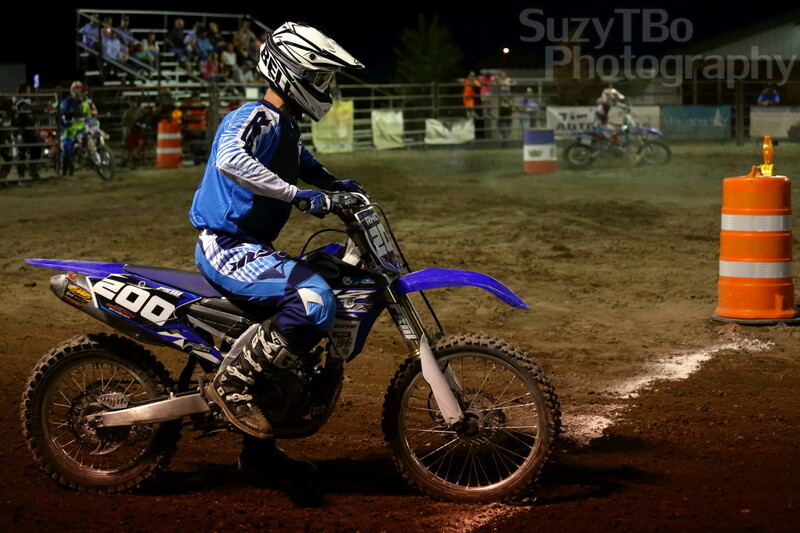 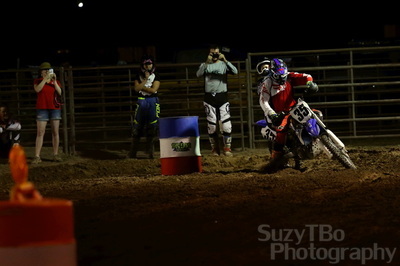 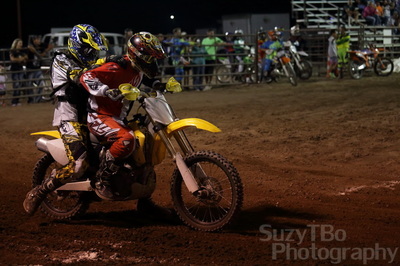 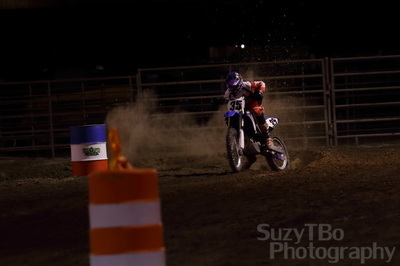 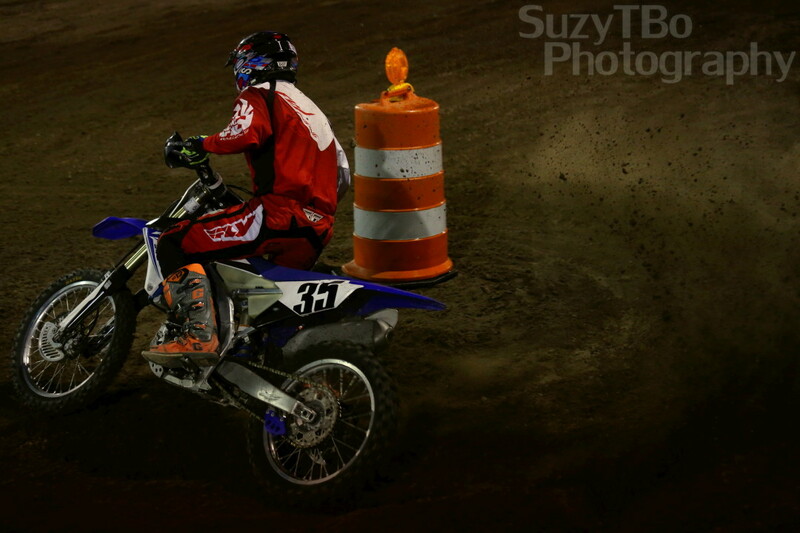 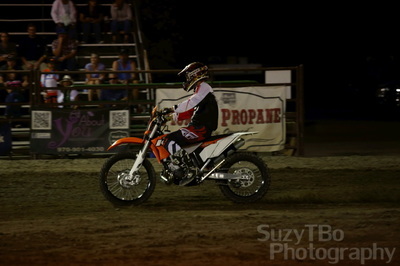 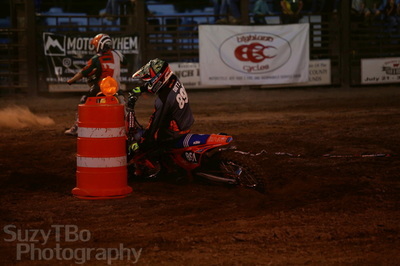 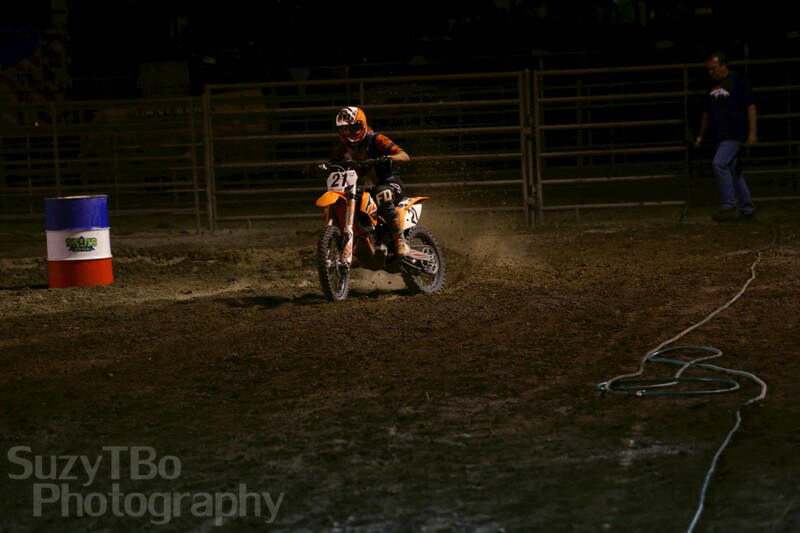 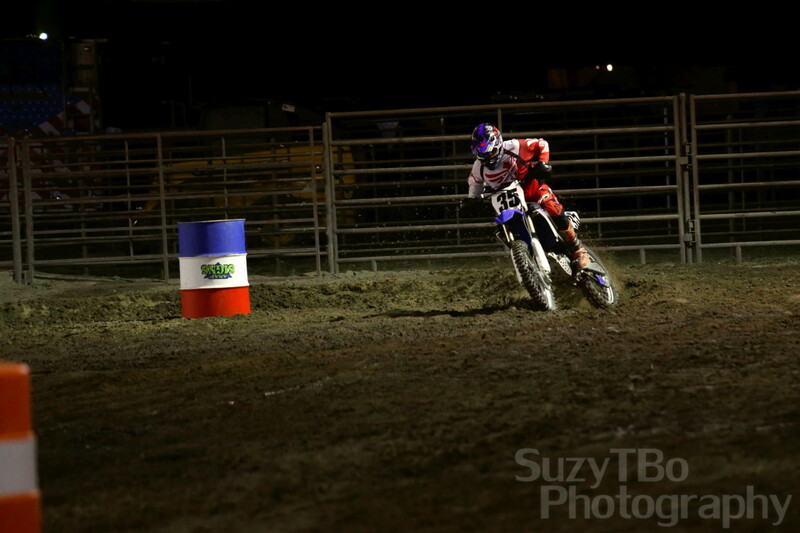 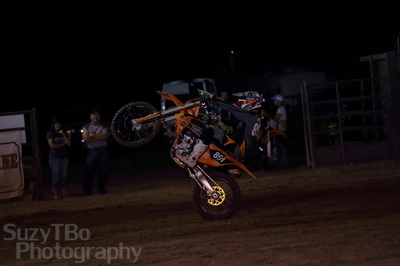 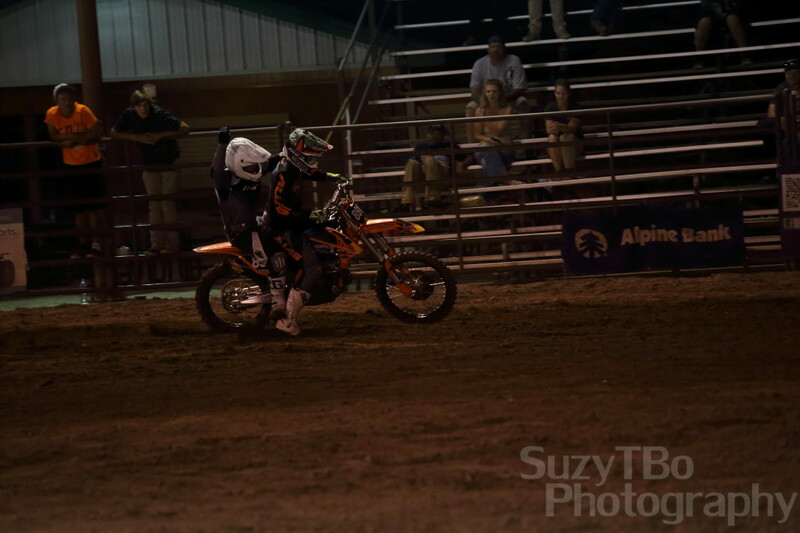 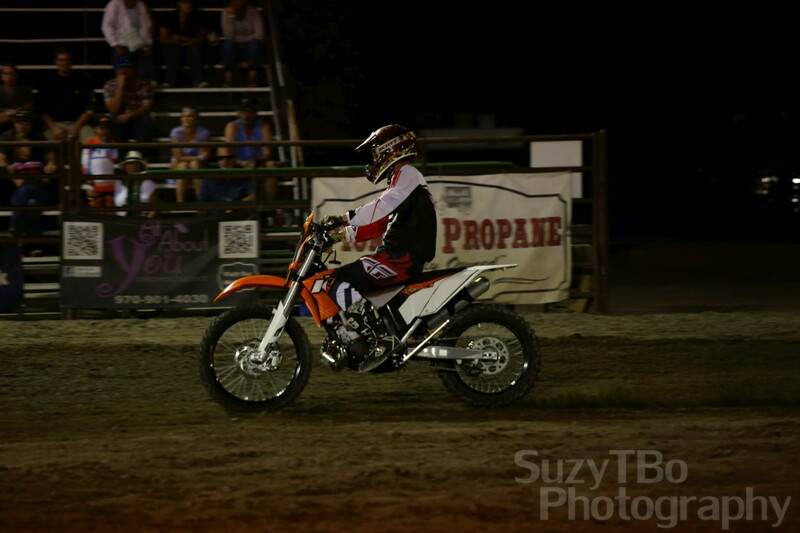 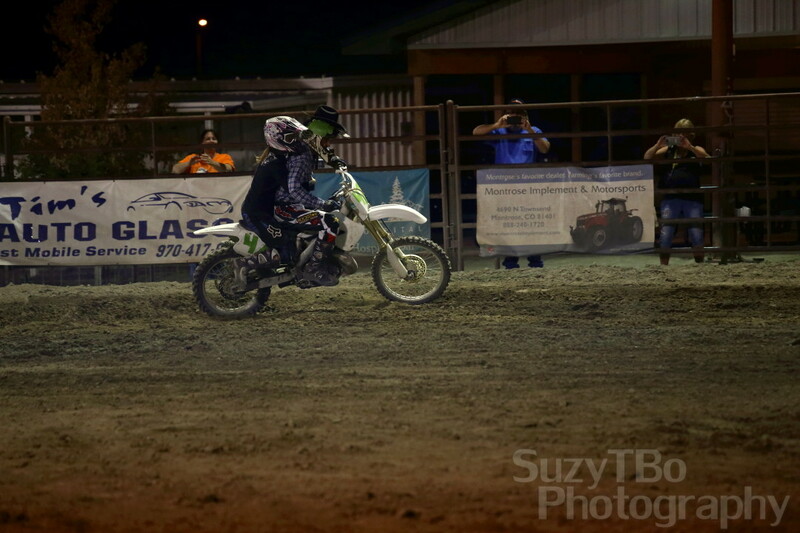 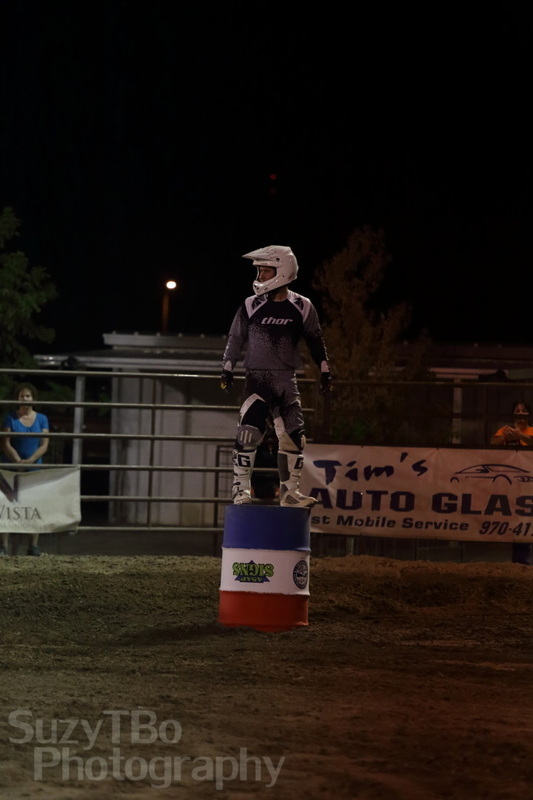 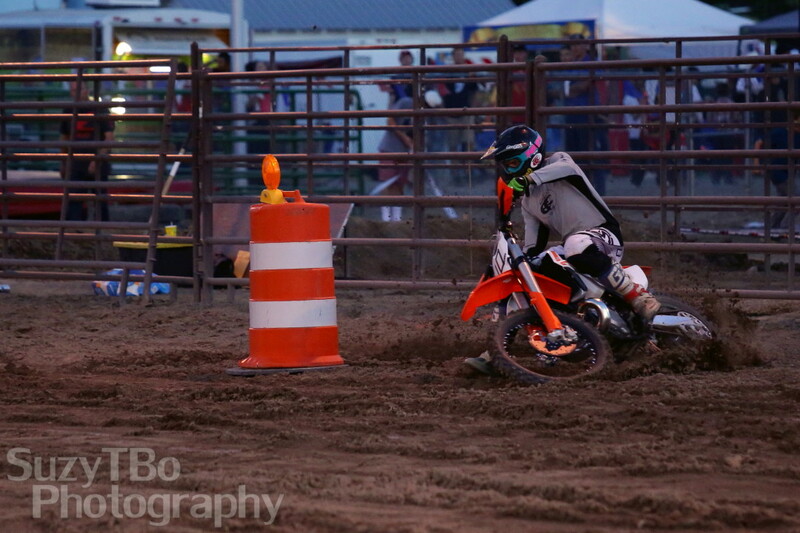 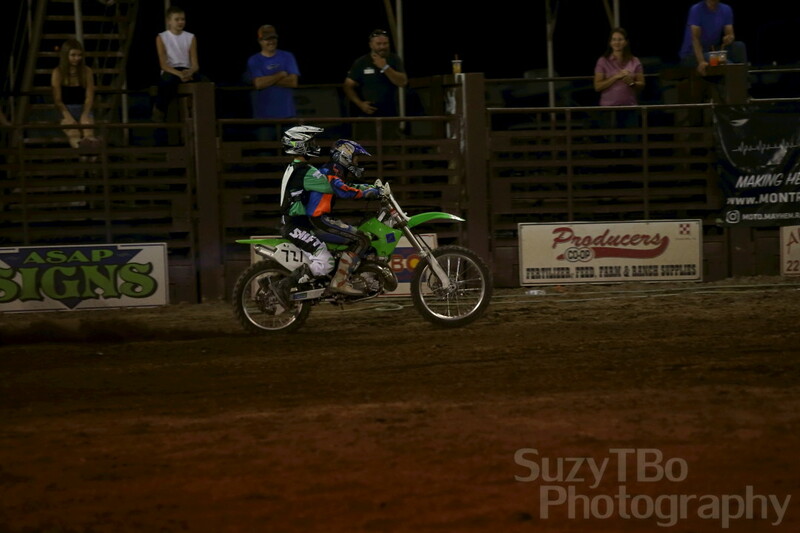 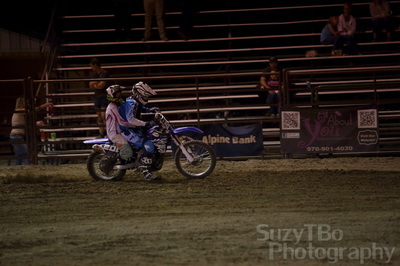 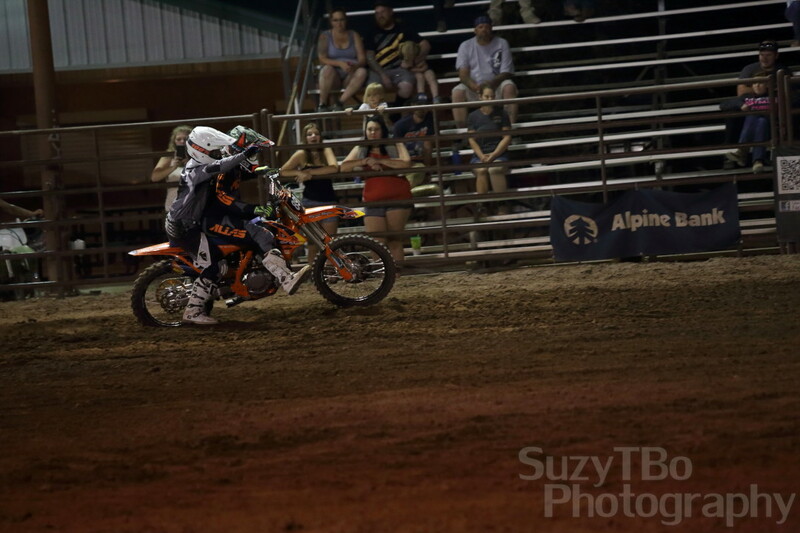 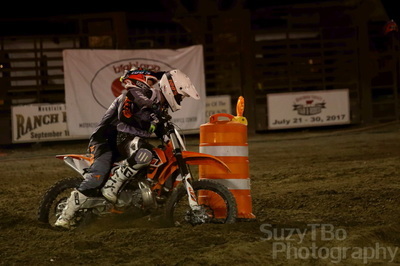 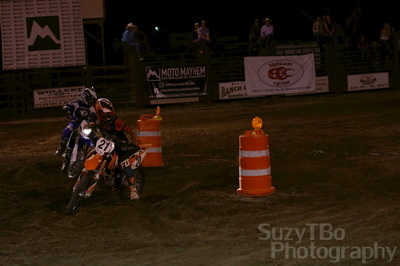 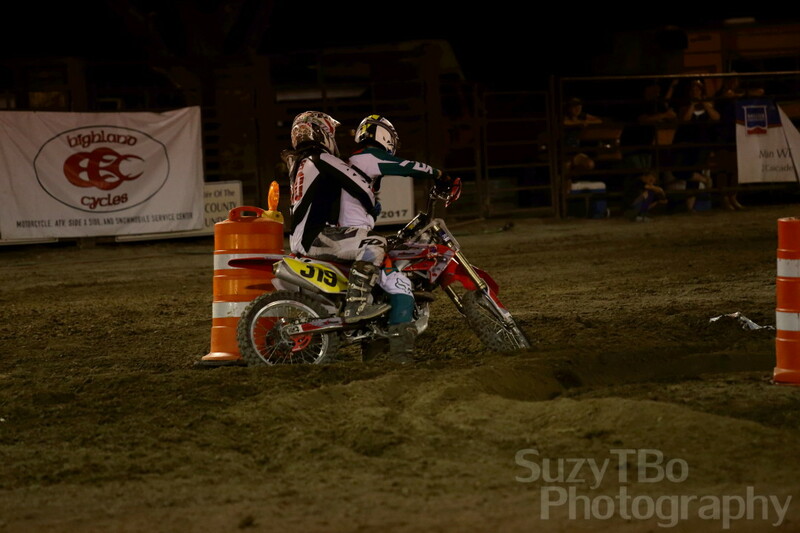 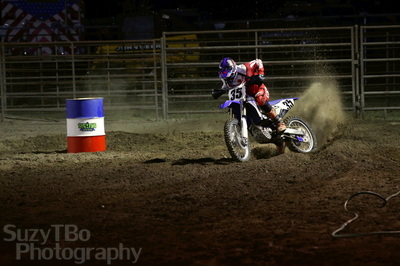 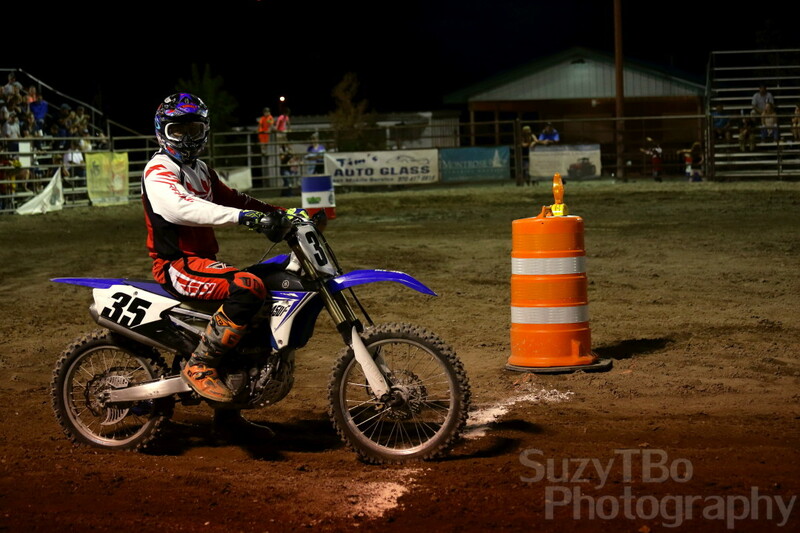 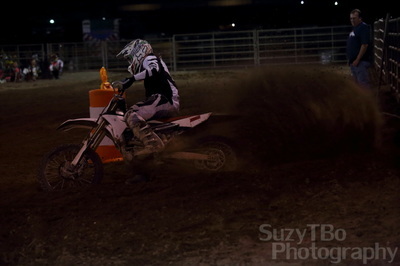 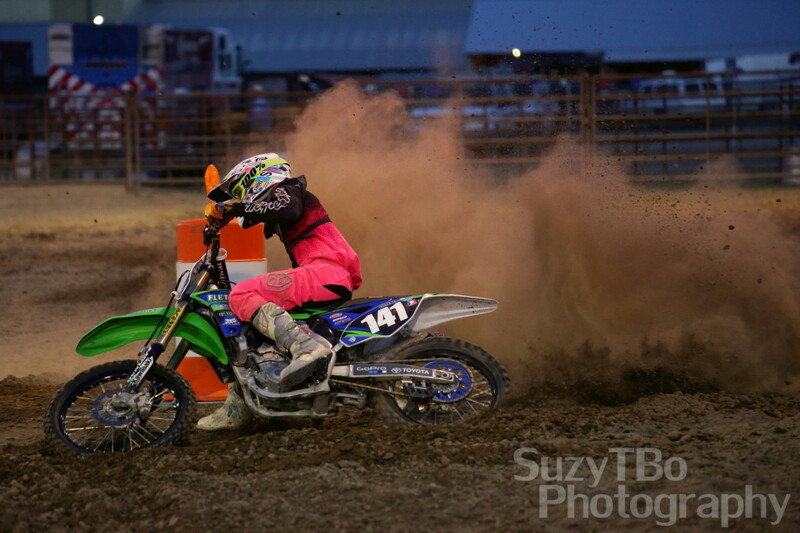 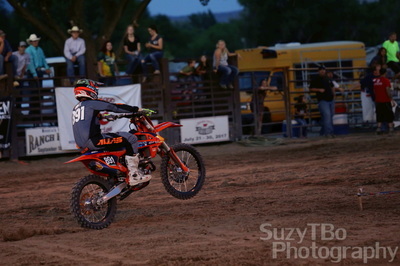 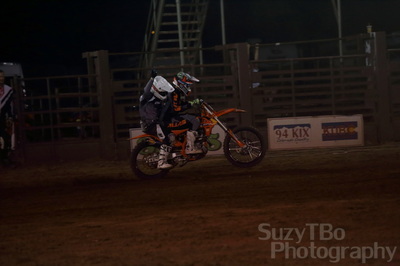 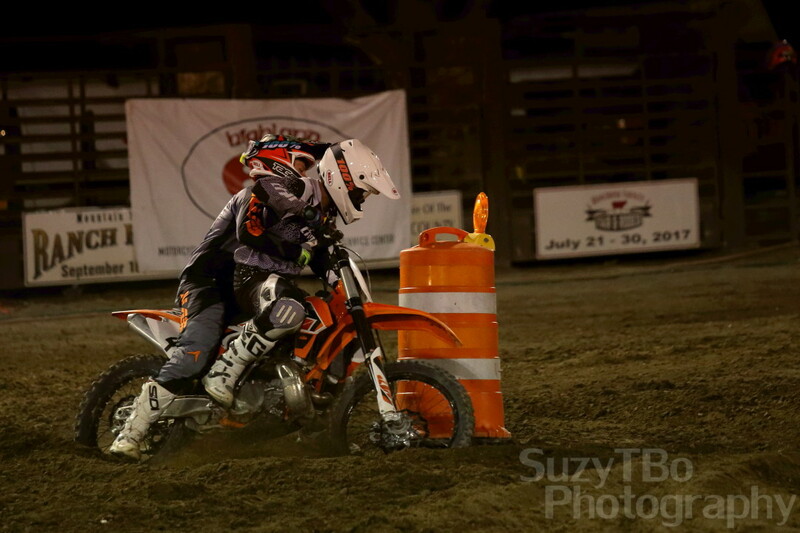 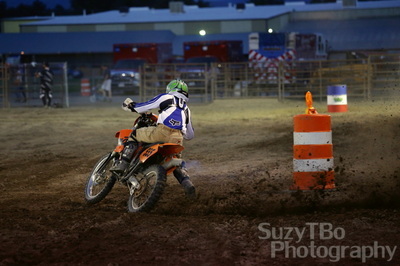 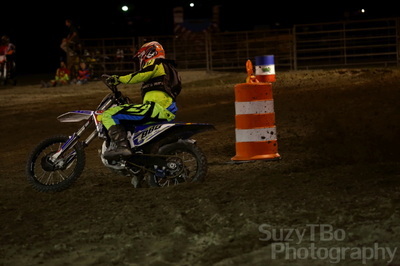 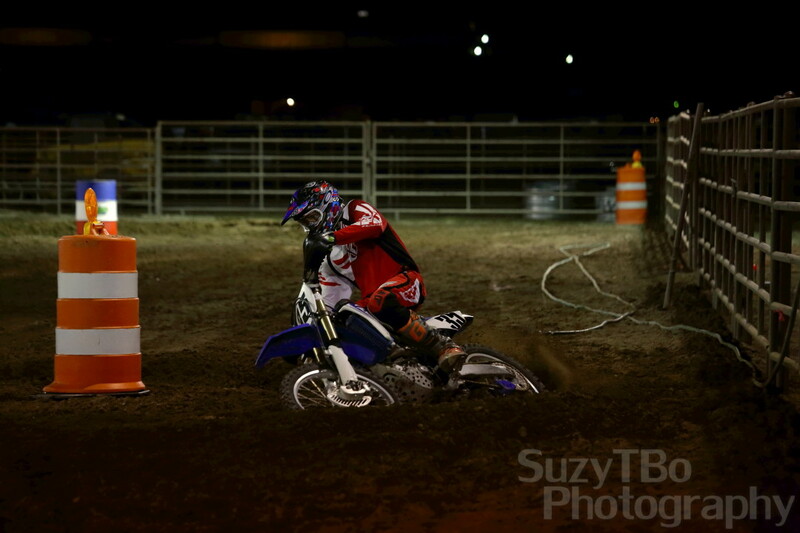 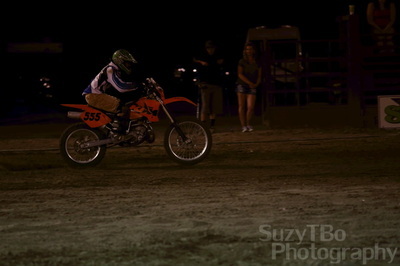 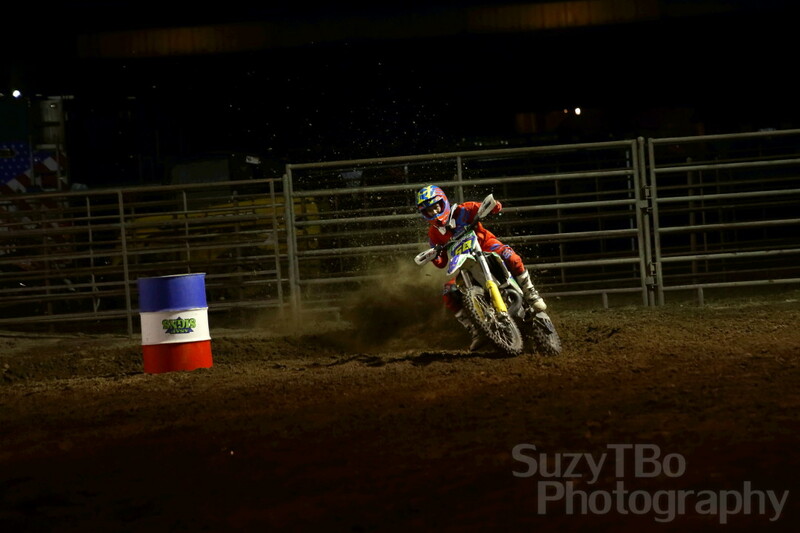 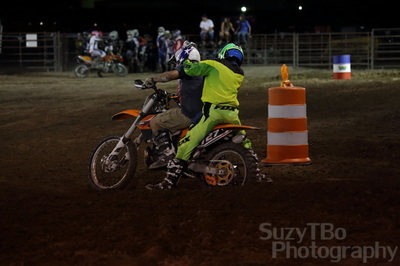 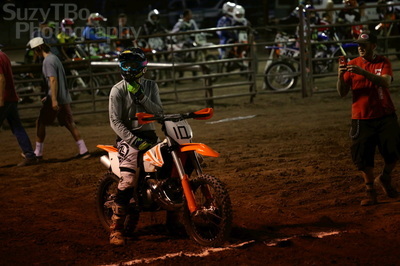 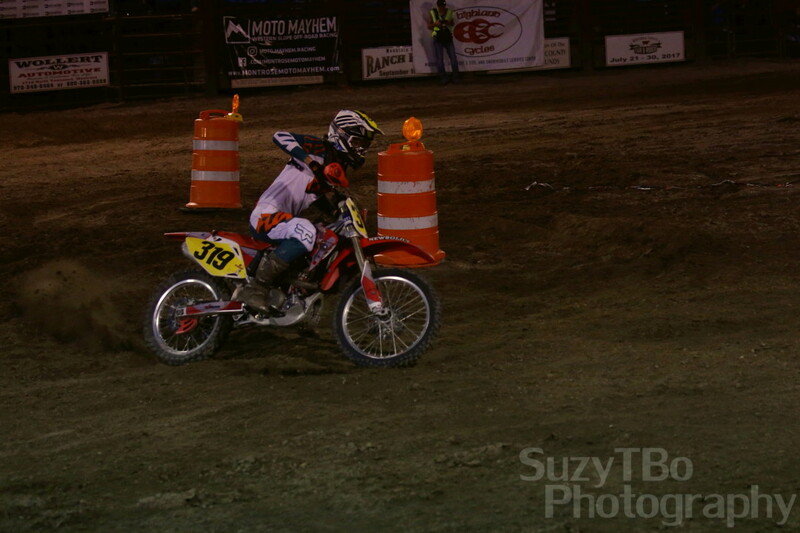 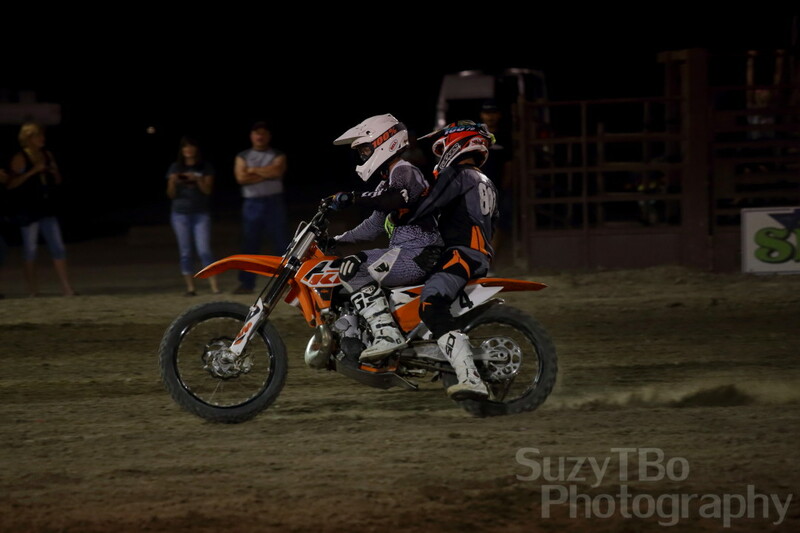 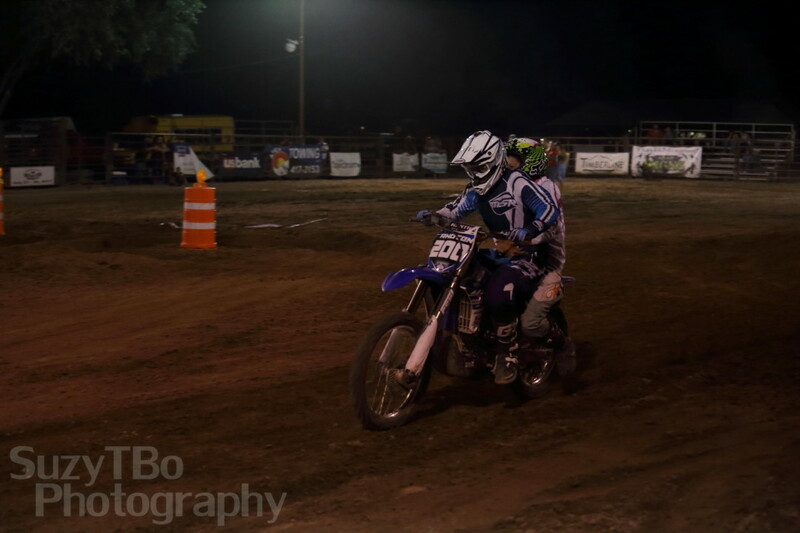 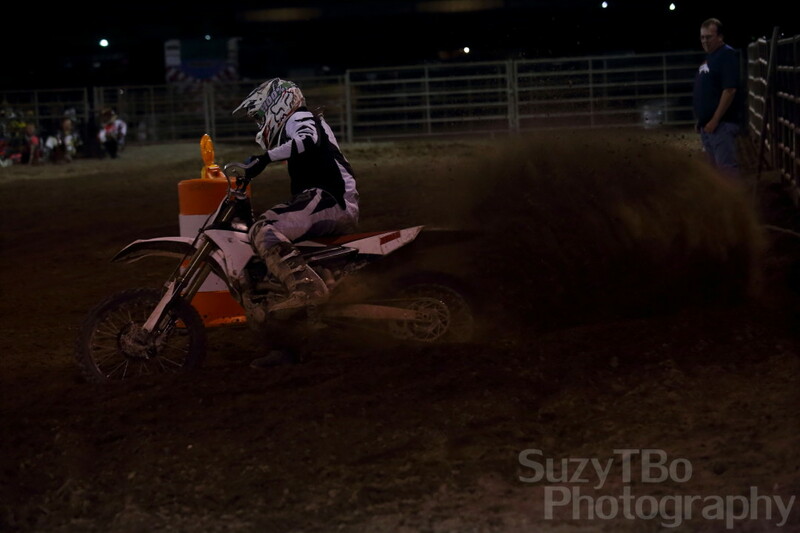 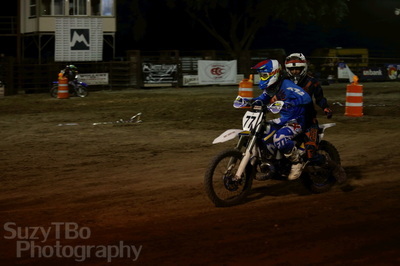 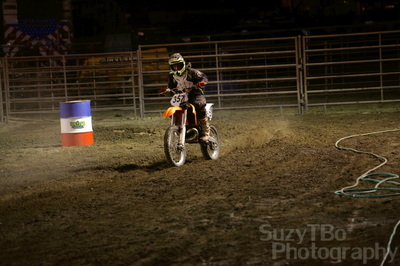 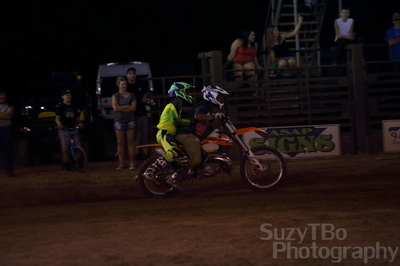 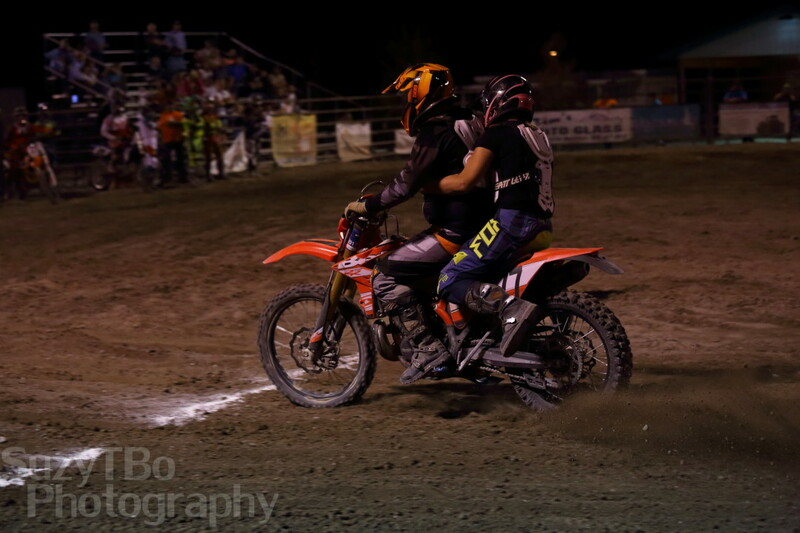 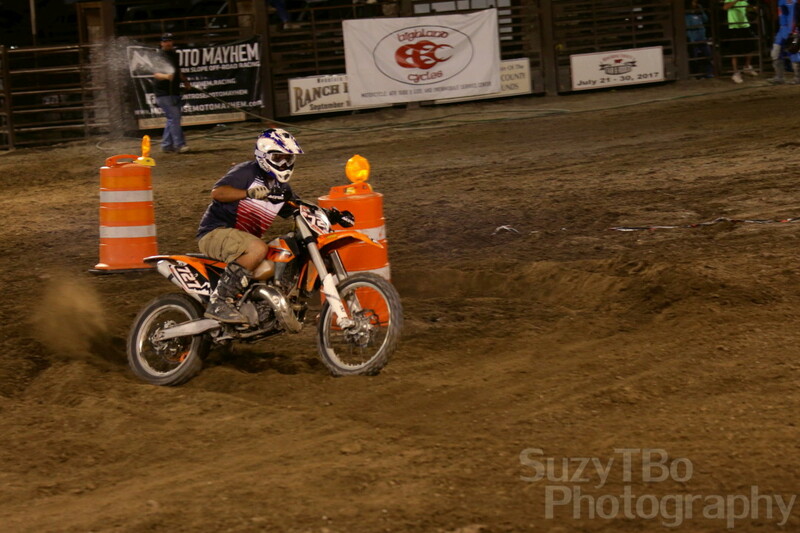 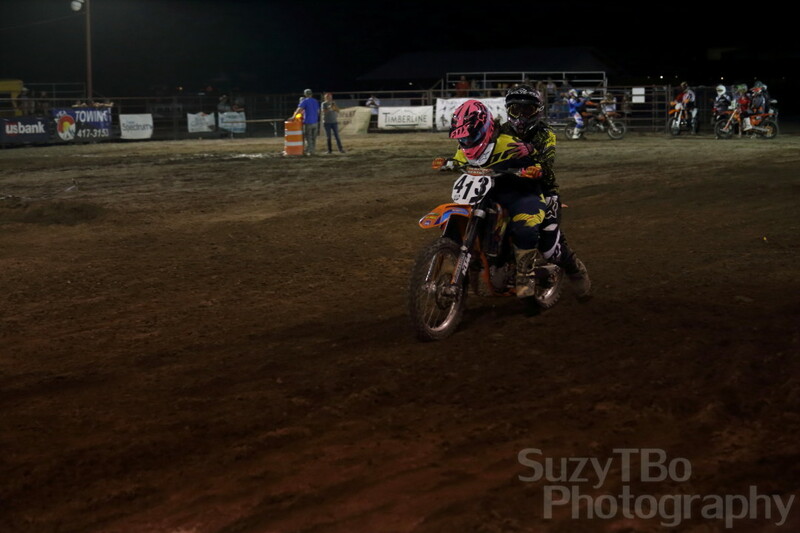 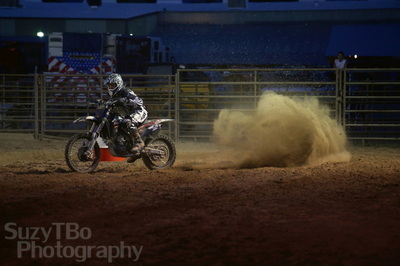 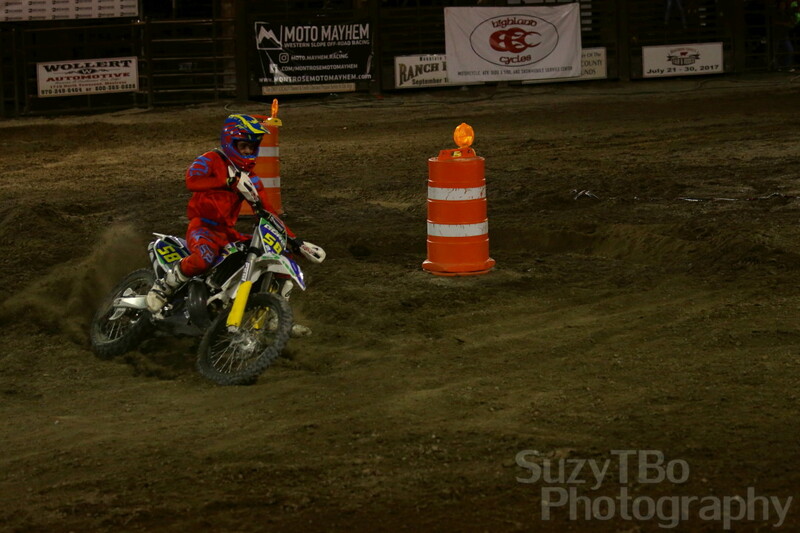 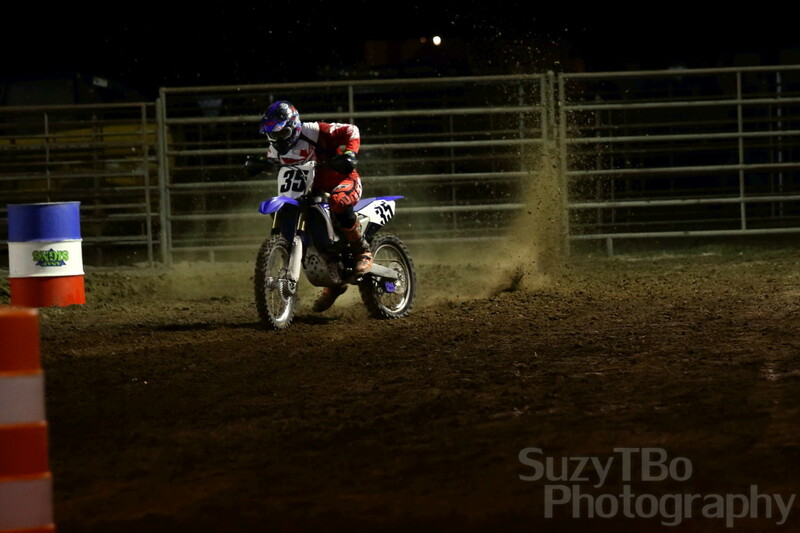 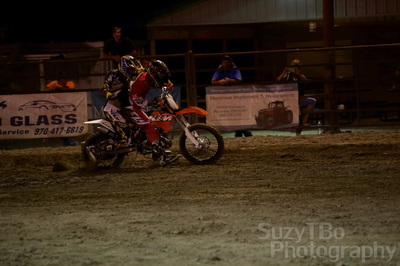 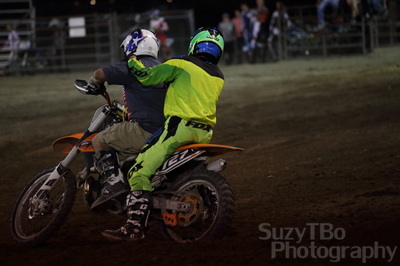 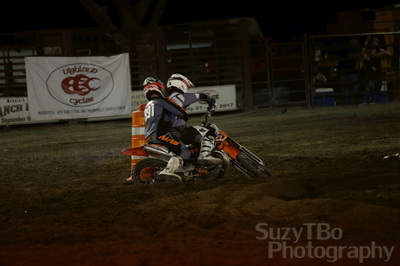 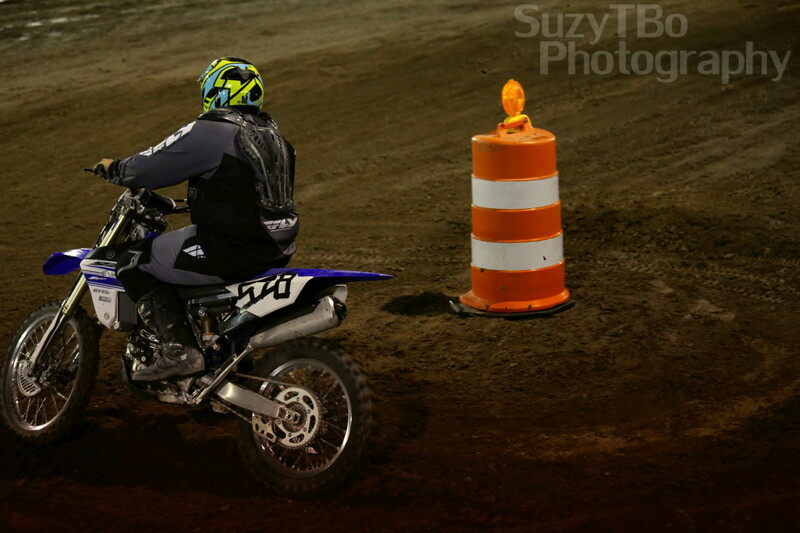 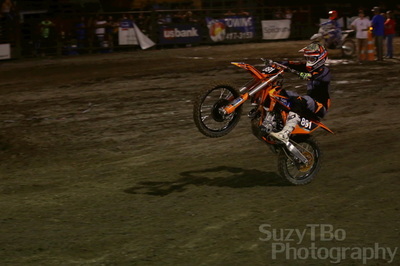 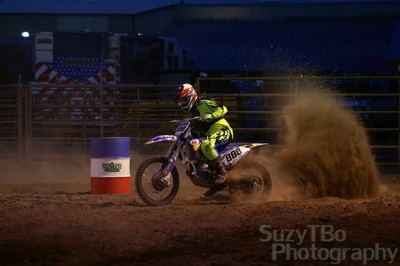 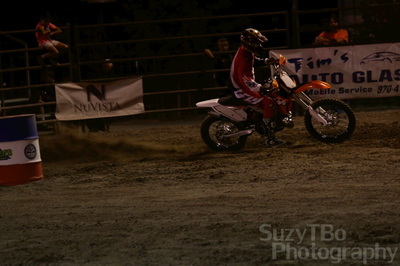 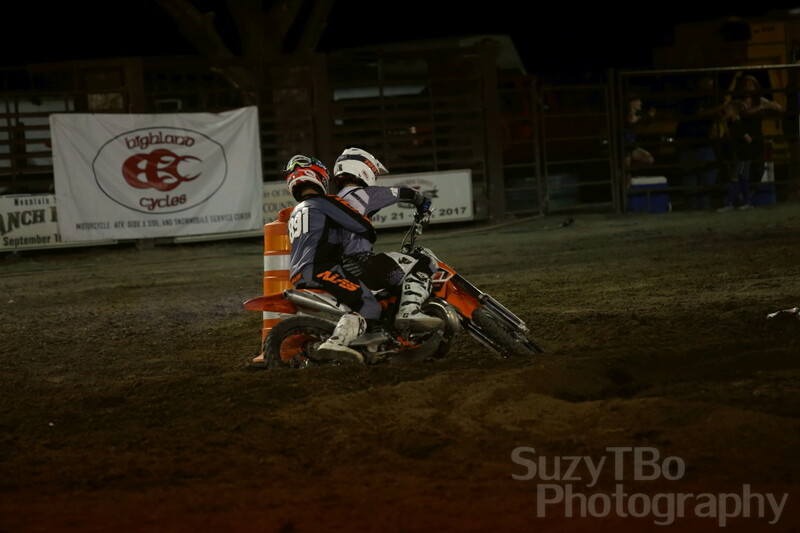 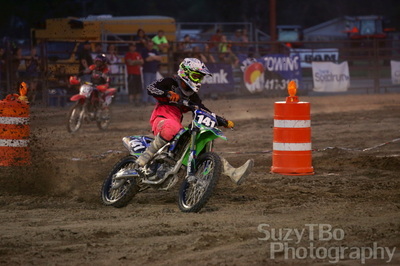 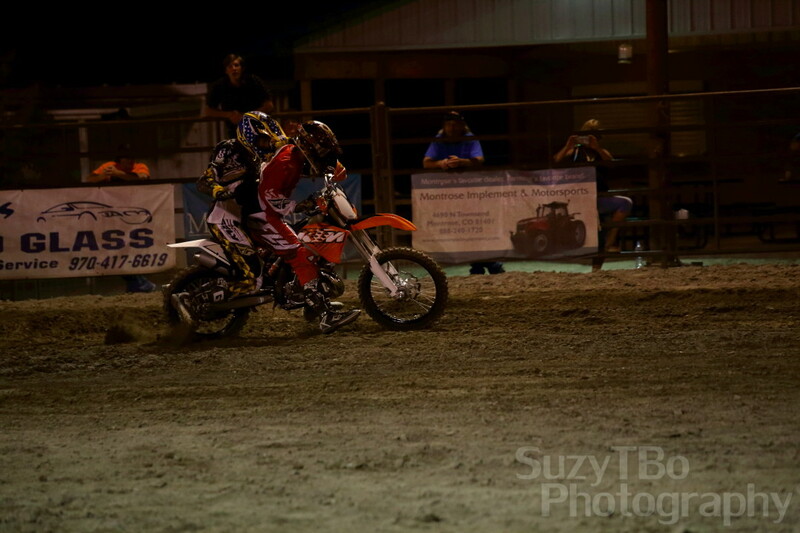 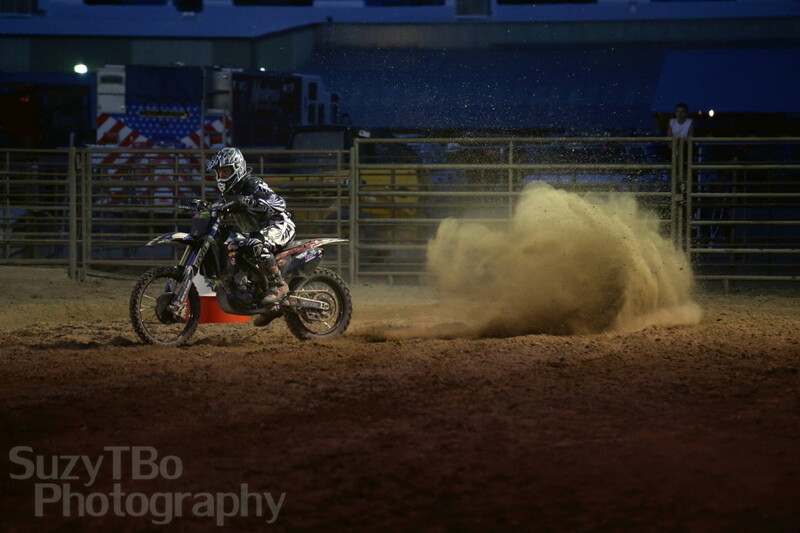 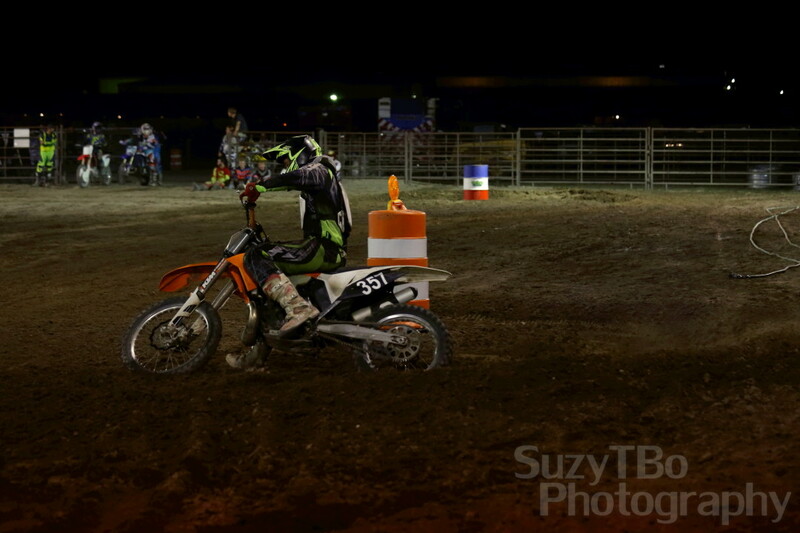 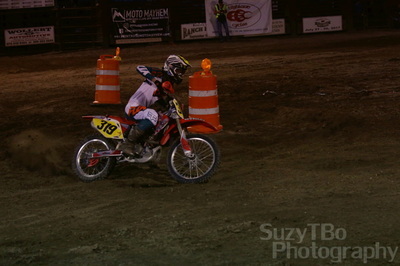 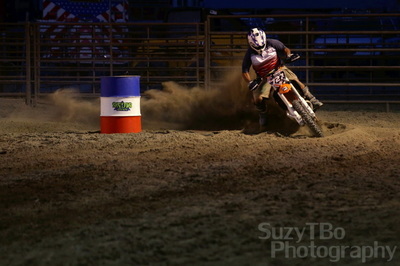 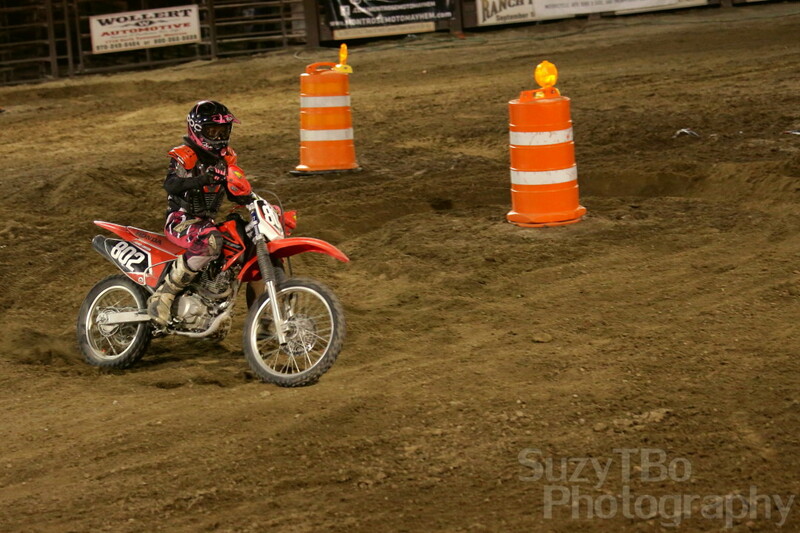 The first ever Moto Mayhem Moto Rodeo was held at the Montrose County Fairgrounds on July 30. It was a wild and crazy night and a ton of fun for all involved. 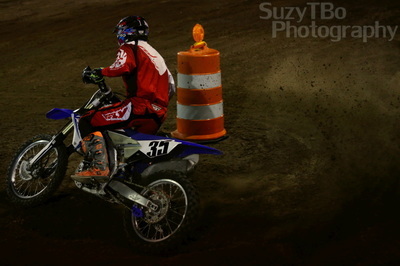 Here are the photos from the barrel racing, two-up barrel racing, and rescue racing sections of the rodeo.